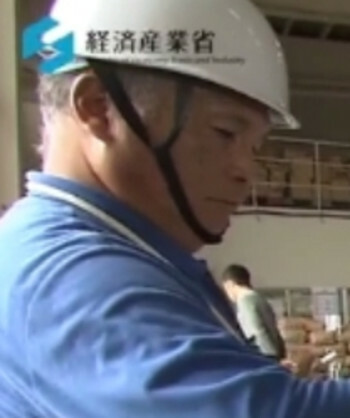 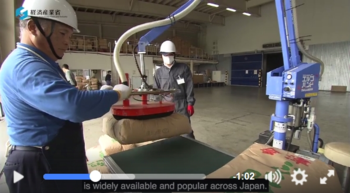 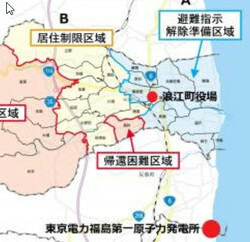 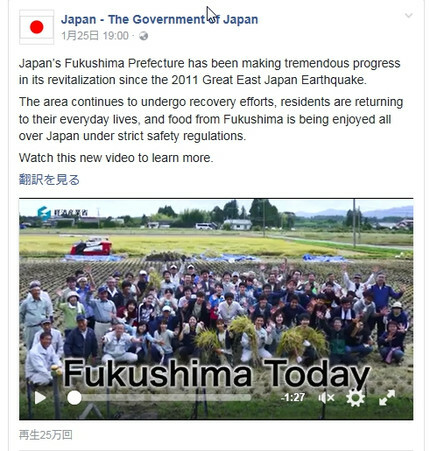 The area continues to undergo recovery efforts, residents are returning to their everyday lives, and food from Fukushima is being enjoyed all over Japan under strict safety regulations. 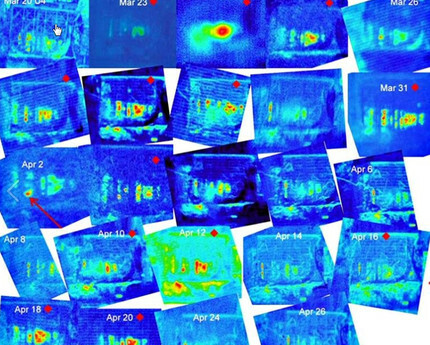 At the height of the Cold War, the CIA conducted covert, illegal scientific research on human subjects. 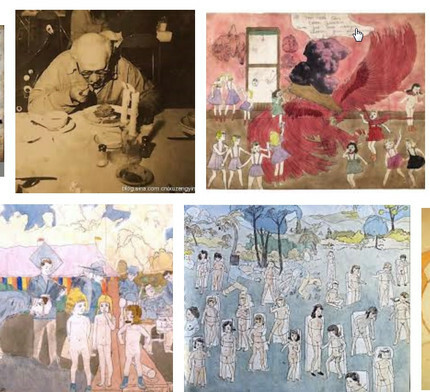 Known as Project MK-ULTRA, the program subjected humans to experiments with drugs such as LSD and barbiturates, hypnosis and (some reports indicate) radiological and biological agents. 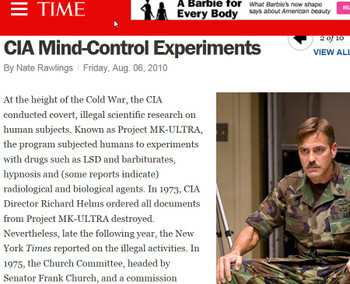 In 1973, CIA Director Richard Helms ordered all documents from Project MK-ULTRA destroyed. 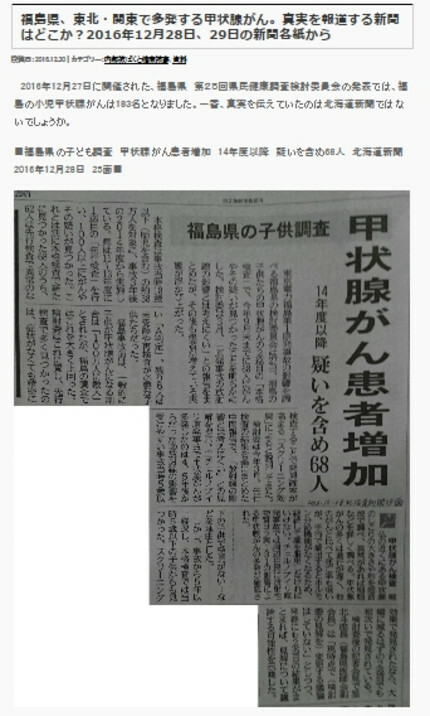 Nevertheless, late the following year, the New York Times reported on the illegal activities. 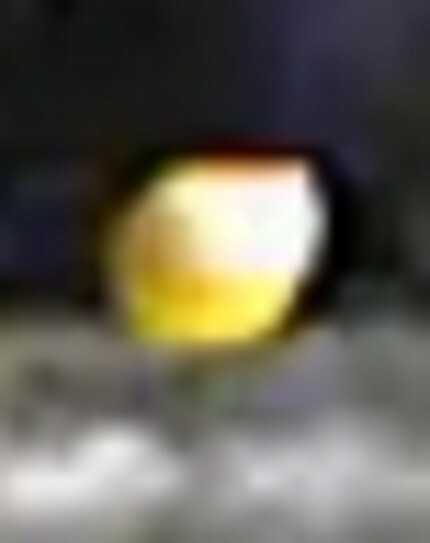 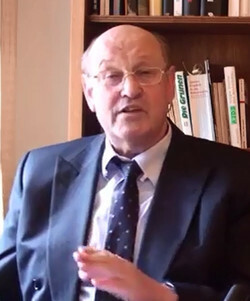 In 1975, the Church Committee, headed by Senator Frank Church, and a commission headed by Vice President Nelson Rockefeller investigated the project. 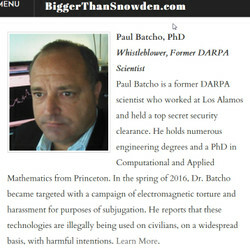 They found that over more than two decades, the CIA spent nearly $20 million, enlisted the services of researchers at more than 30 universities and conducted experiments on subjects without their knowledge. 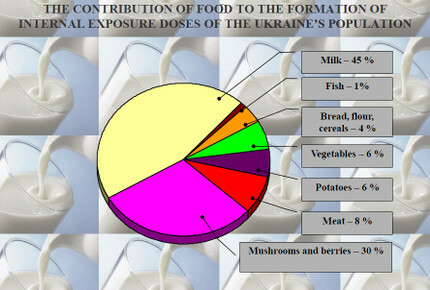 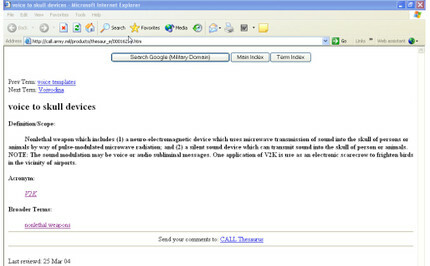 Some of the research was performed in Canada. 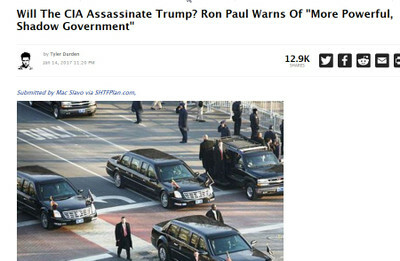 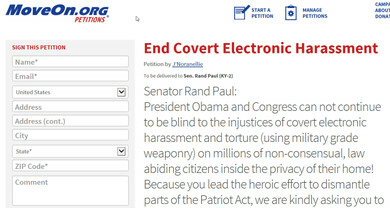 Some historians argue that the goal of the program was to create a mind-control system by which the CIA could program people to conduct assassinations. 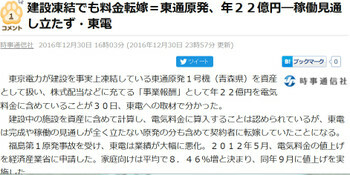 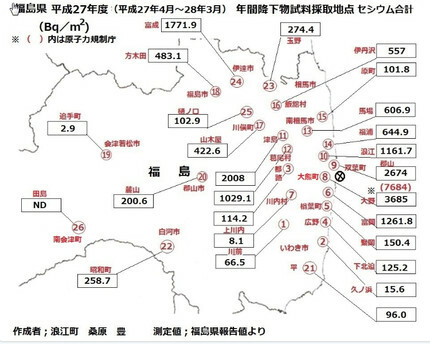 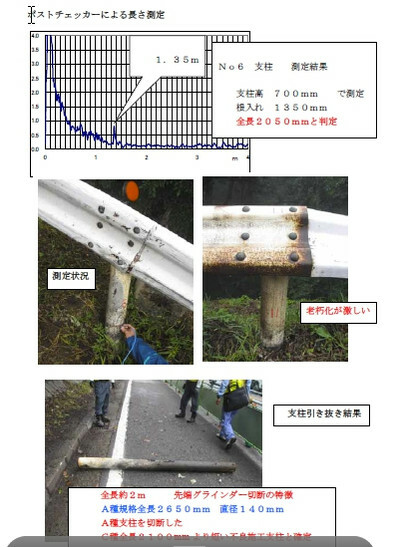 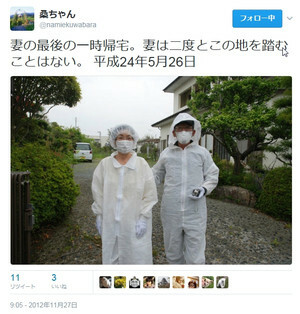 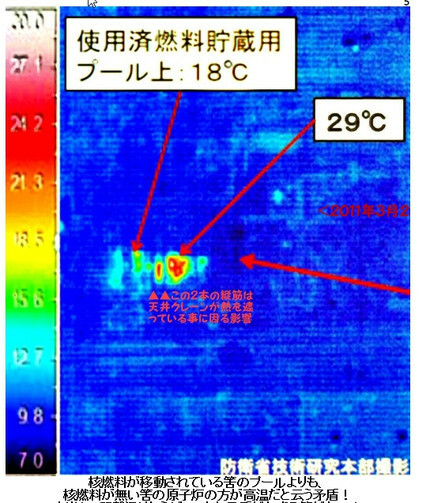 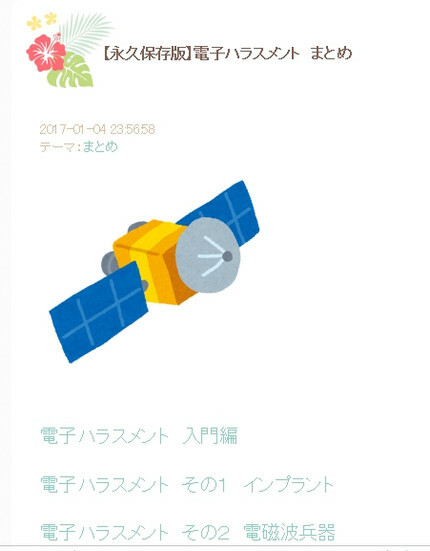 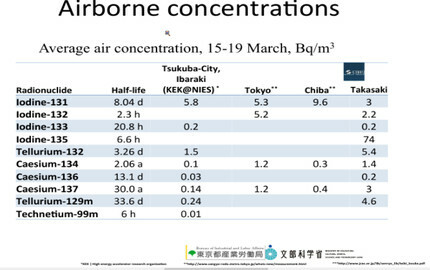 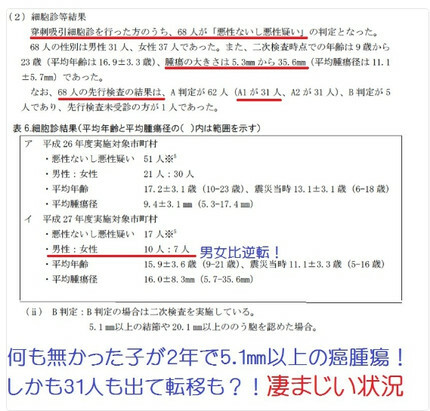 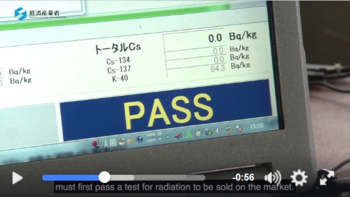 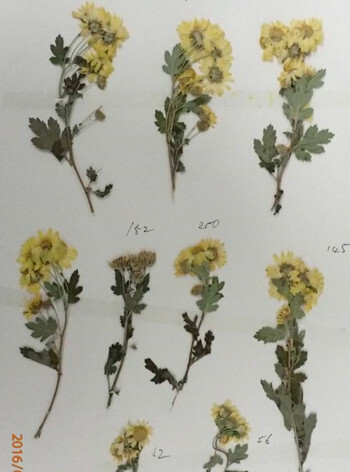 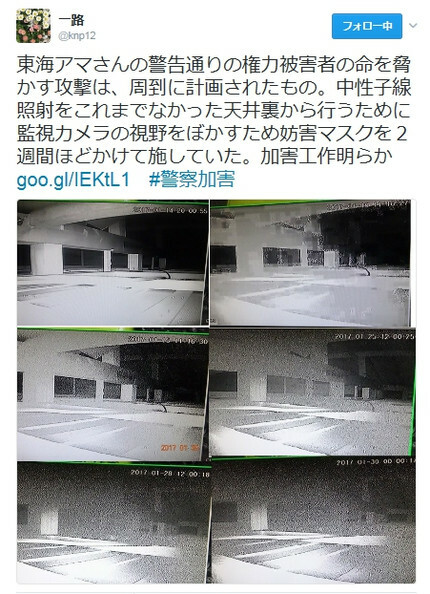 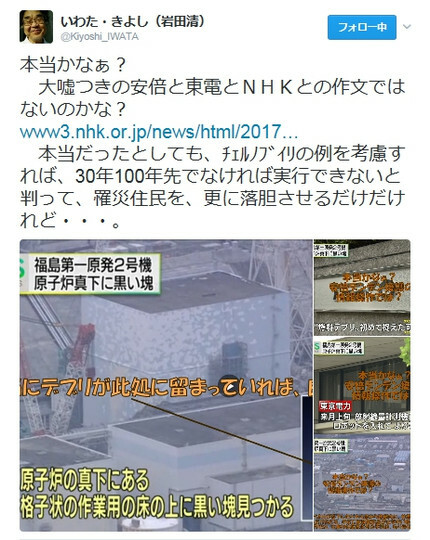 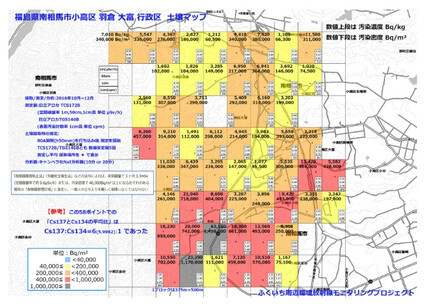 ・　Now, Makoto Miyazaki, a radiologist at Fukushima Medical University, and Ryugo Hayano, a University of Tokyo physicist, have taken the thousands of data points from the Date dosimeters and compared them with the ground-level estimates from the helicopter data. 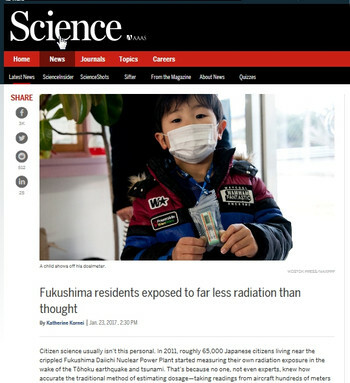 The scientists concluded that actual radiation doses were roughly 15% of what the helicopters were measuring, scaled to ground level, they reported last month in the Journal of Radiological Protection. 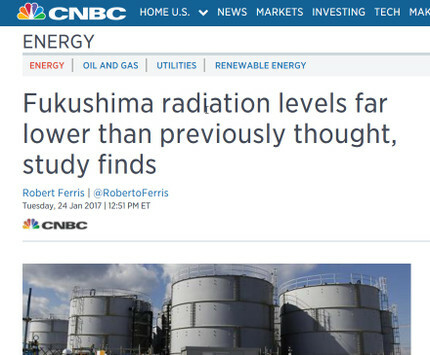 That’s four times less radiation than what the Japanese government was previously assuming. 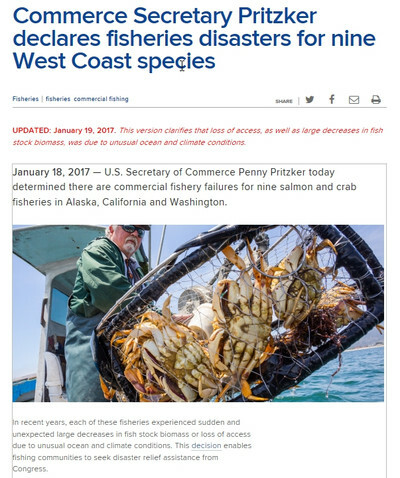 ・　January 18, 2017 — U.S. Secretary of Commerce Penny Pritzker today determined there are commercial fishery failures for nine salmon and crab fisheries in Alaska, California and Washington. 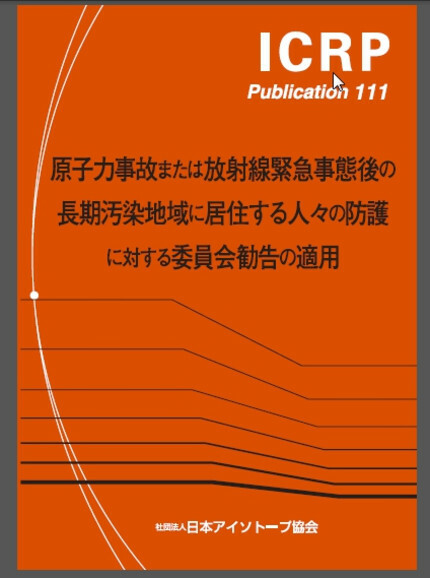 ・　In recent years, each of these fisheries experienced sudden and unexpected large decreases in fish stock biomass or loss of access due to unusual ocean and climate conditions. 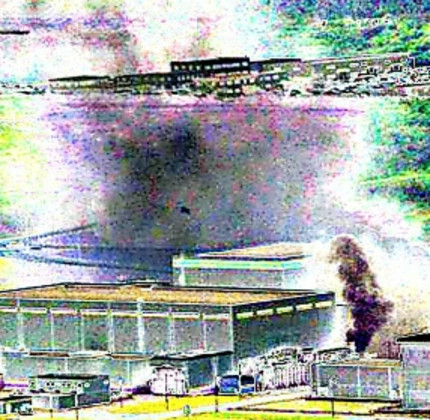 This decision enables fishing communities to seek disaster relief assistance from Congress. 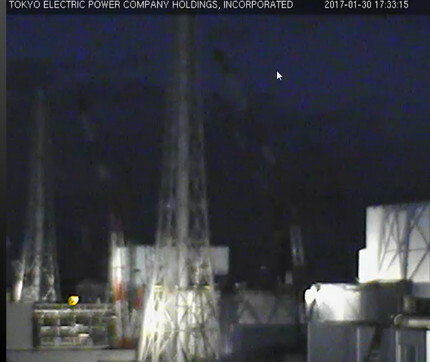 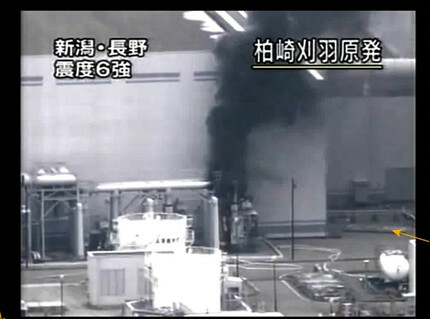 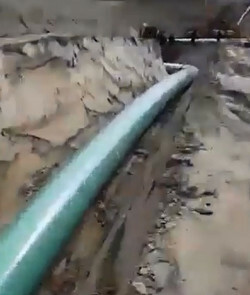 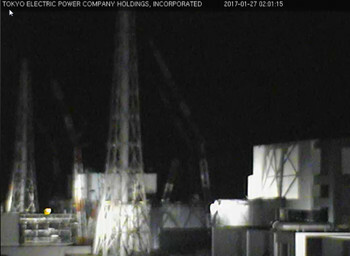 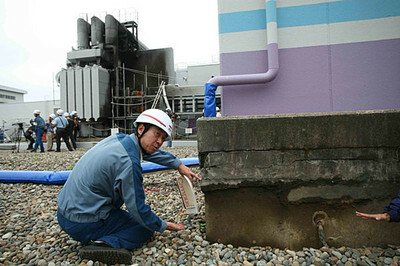 But plant operator Tokyo Electric Power Company says the camera, which is marginally smaller than the pipe, quickly became stuck. 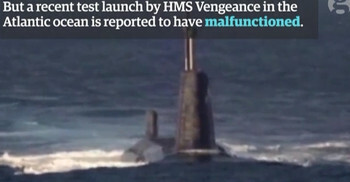 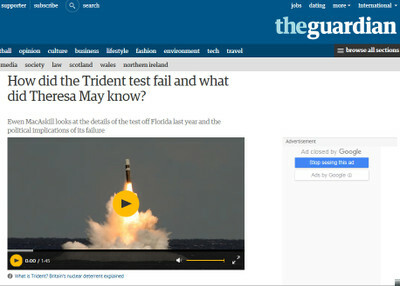 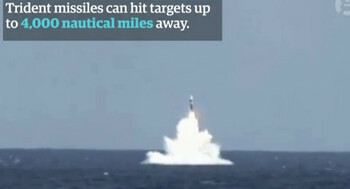 〔★は大沼〕◎　英紙・ガーディアン　How did the Trident test fail and what did Theresa May know? 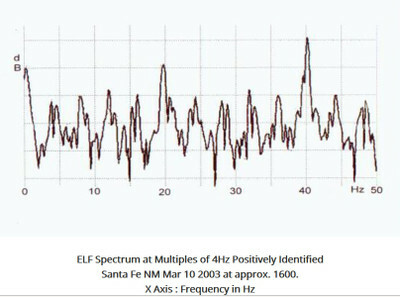 Human brains appear to transmit and receive at the RF bands around 450MHz and microwave transmissions can be highly damaging in turns of induced bio-effects. 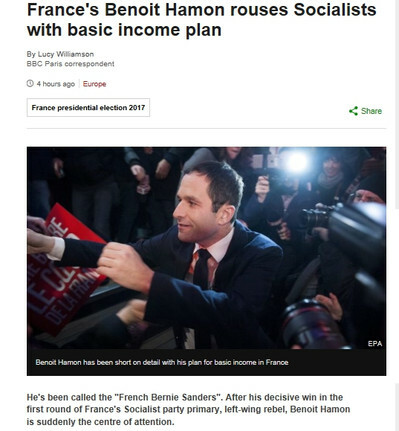 The income plan he has outlined would be put into effect in three stages. 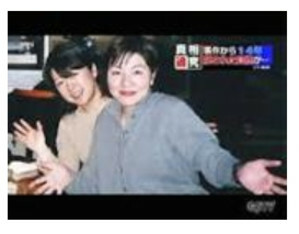 ・　……But I will say that they said -- it was very interesting -- that Donald Trump took down the bust, the statue, of Dr. Martin Luther King. 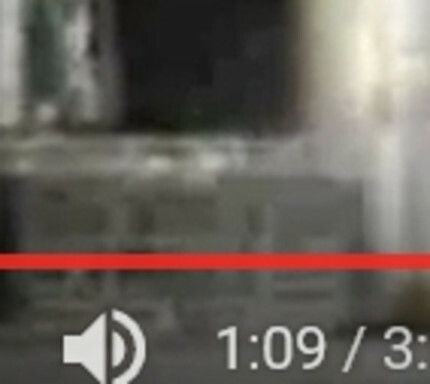 And it was right there. 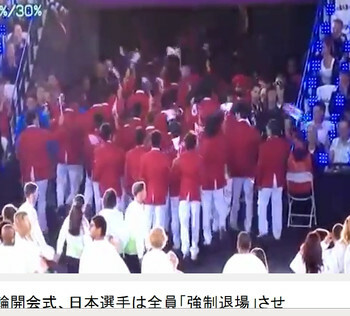 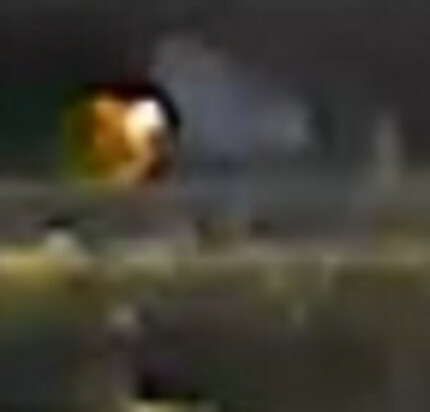 But there was a cameraman that was in front of it. 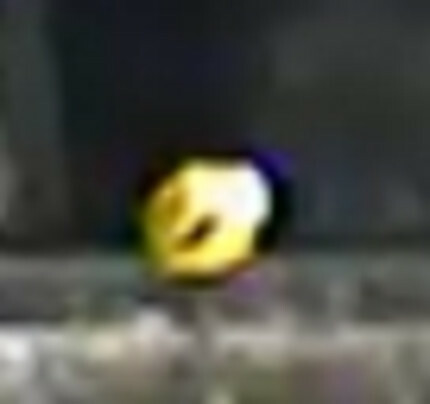 (Laughter.) 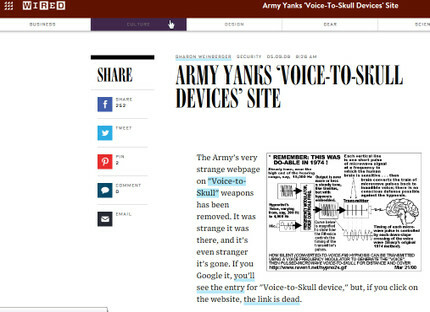 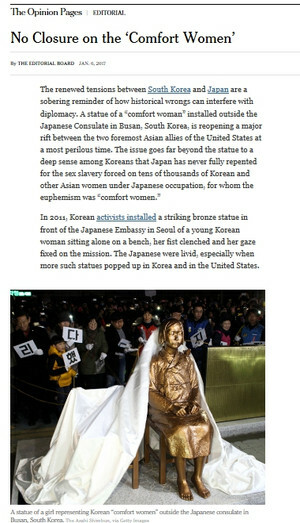 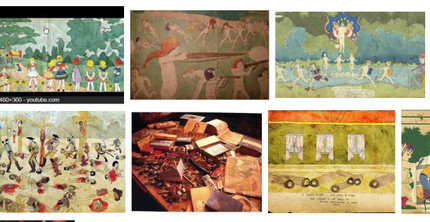 So Zeke -- Zeke from Time Magazine writes a story about I took down. 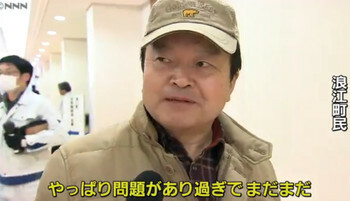 I would never do that because I have great respect for Dr. Martin Luther King. 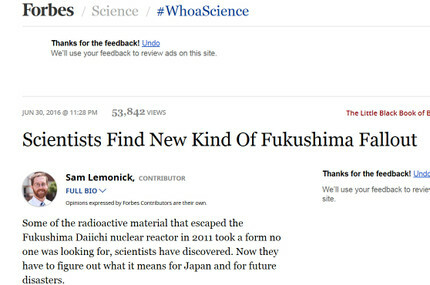 But this is how dishonest the media is. 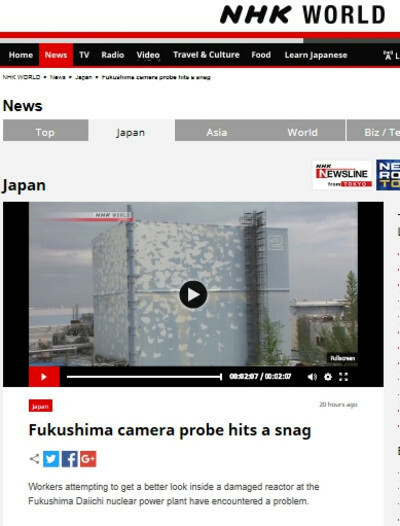 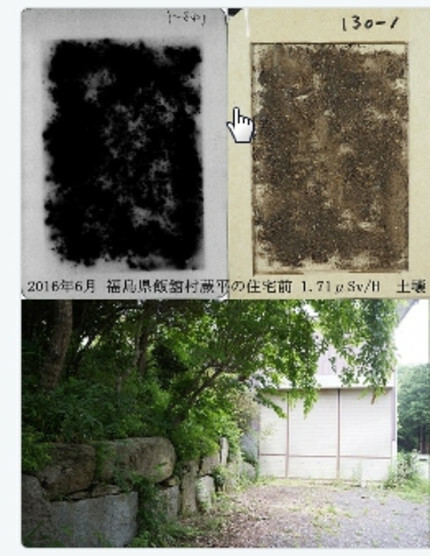 ・　Researchers at Rice University and Kazan Federal University in Russia have found a way to extract radioactivity from water and said their discovery could help purify the hundreds of millions of gallons of contaminated water stored after the Fukushima nuclear plant accident. 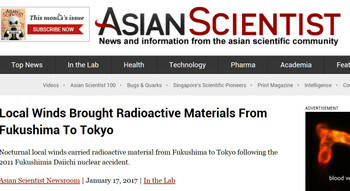 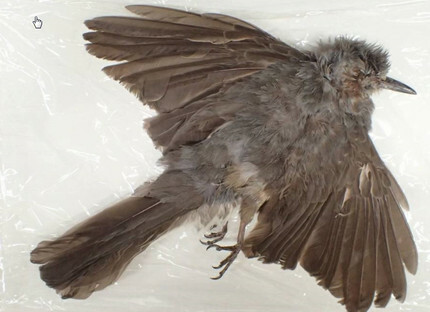 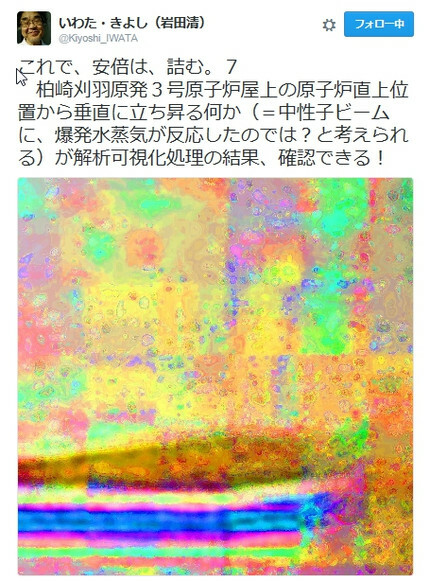 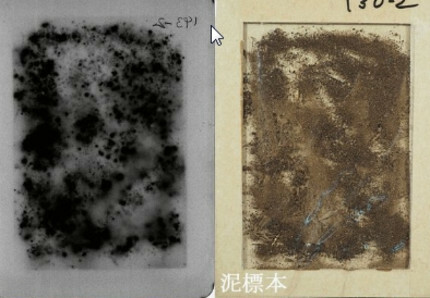 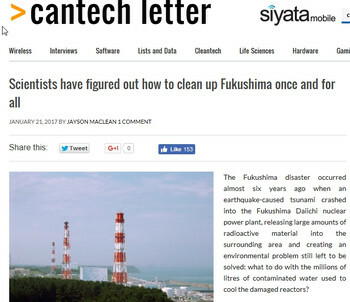 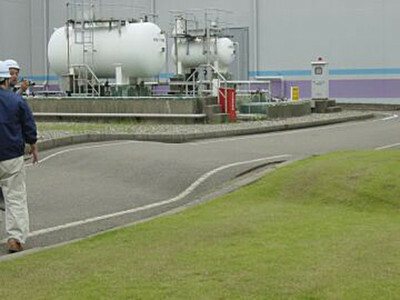 ・　They reported that their oxidatively modified carbon (OMC) material is inexpensive and highly efficient at absorbing radioactive metal cations, including cesium and strontium, toxic elements released into the environment when the Fukushima plant melted down after an earthquake and tsunami in March 2011. 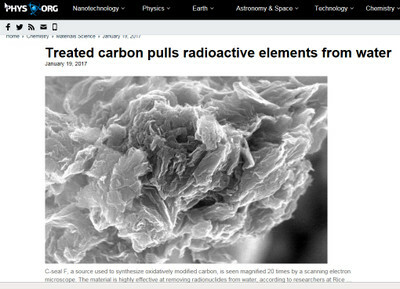 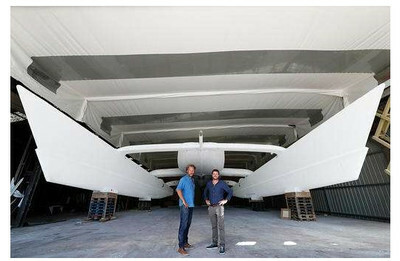 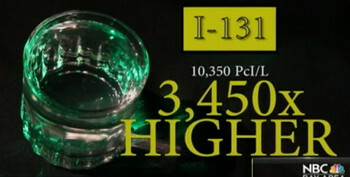 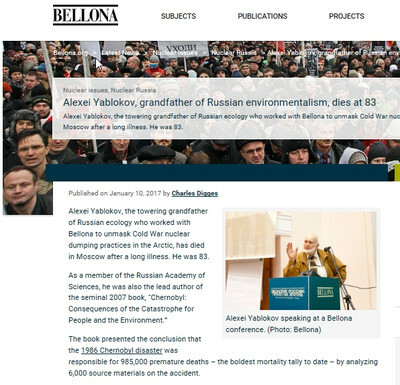 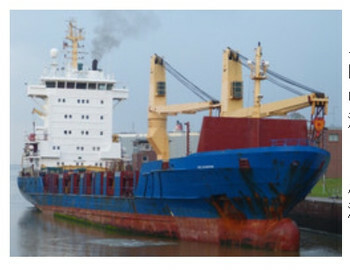 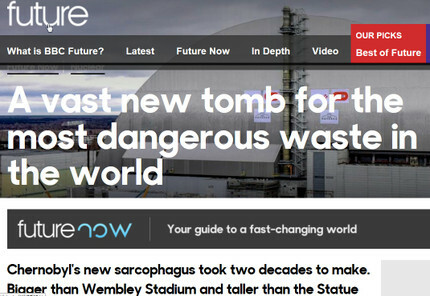 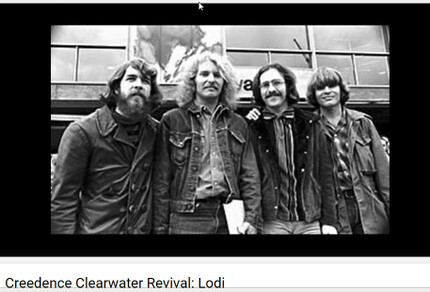 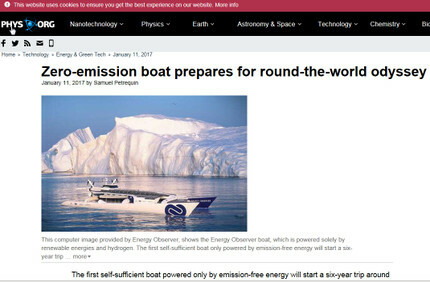 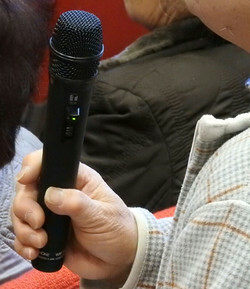 ・　The material makes good use of the porous nature of two specific sources of carbon, Tour said. 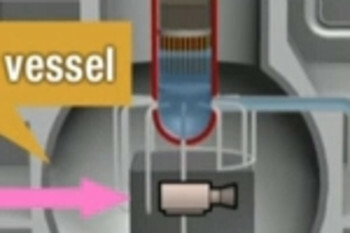 One is an inexpensive, coke-derived powder known as C-seal F, used by the oil industry as an additive to drilling fluids. 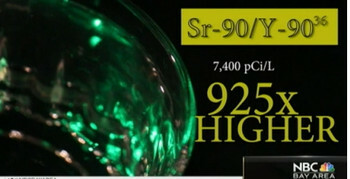 The other is a naturally occurring, carbon-heavy mineral called shungite found mainly in Russia. 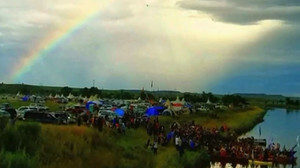 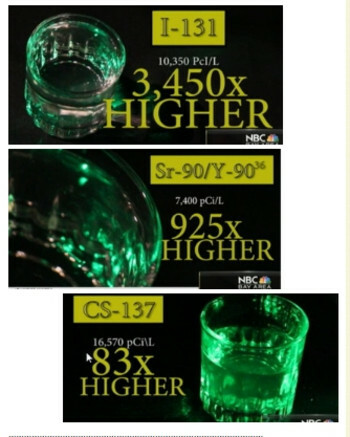 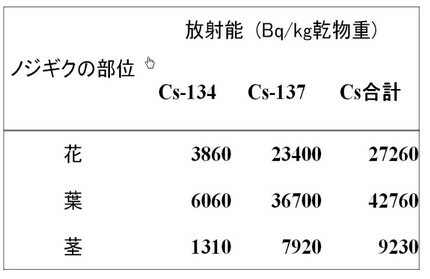 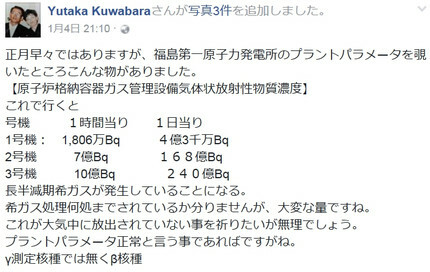 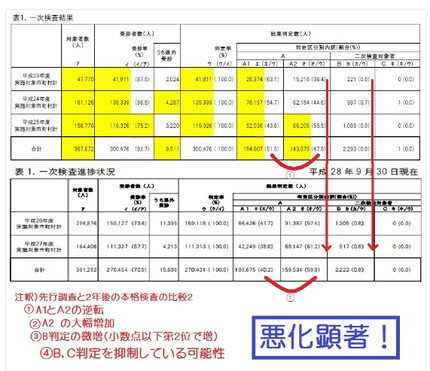 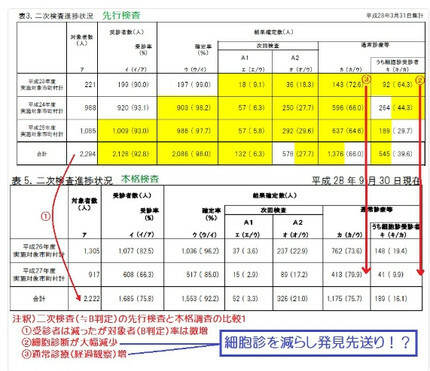 ・　In column filtration tests, which involved flowing 1,400 milliliters of contaminated water through an OMC filter in 100-milliliter amounts, the filter removed nearly 93 percent of cesium and 92 percent of strontium in a single pass. 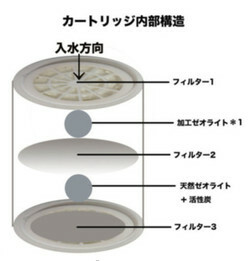 The researchers were able to contain and isolate contaminants trapped in the filter material. 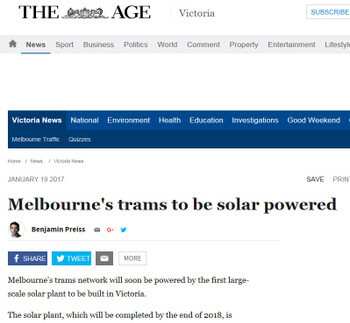 Melbourne's trams network will soon be powered by the first large-scale solar plant to be built in Victoria. 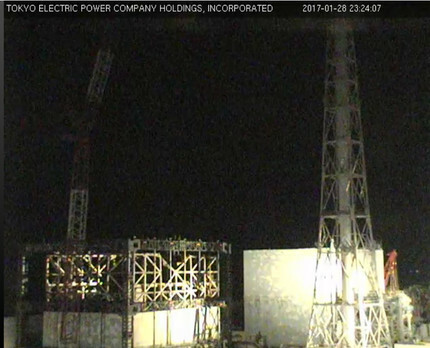 The solar plant, which will be completed by the end of 2018, is expected to be located in Victoria's north-west. 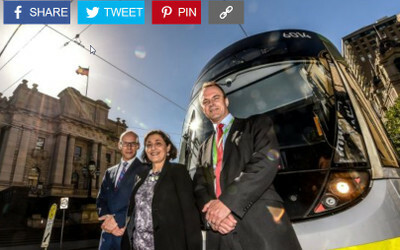 The state government announced on Thursday that the solar plant would produce 75 megawatts of power, with about half of that production to be linked to the tram network. 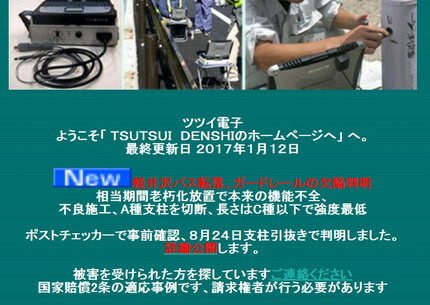 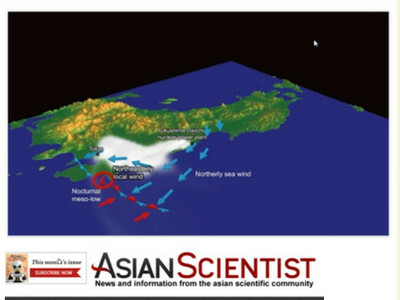 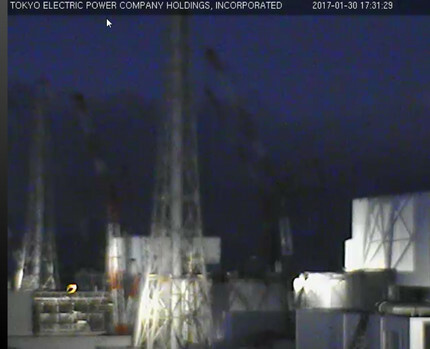 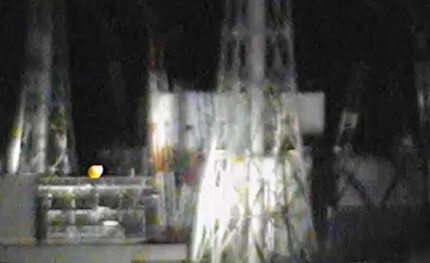 AsianScientist (Jan. 17, 2017) - Nocturnal local winds were responsible for transporting radioactive material over 200km from the Fukushimia Daiichi nuclear accident to the Tokyo metropolitan area. 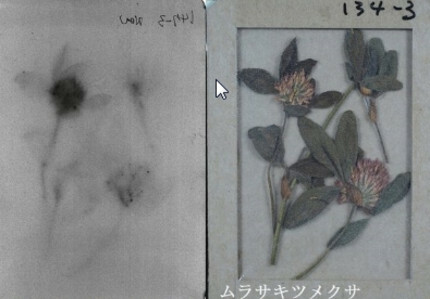 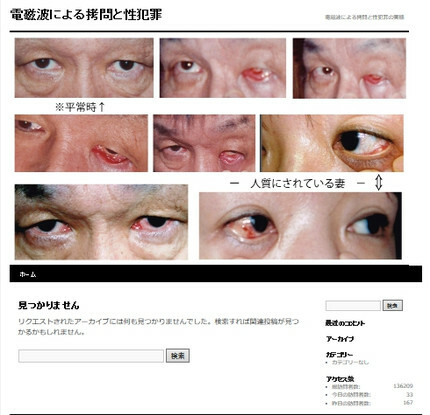 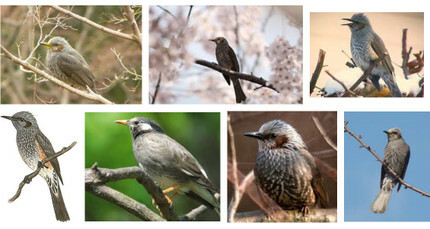 These findings by researchers from the University of Tokyo have been published in Scientific Reports. 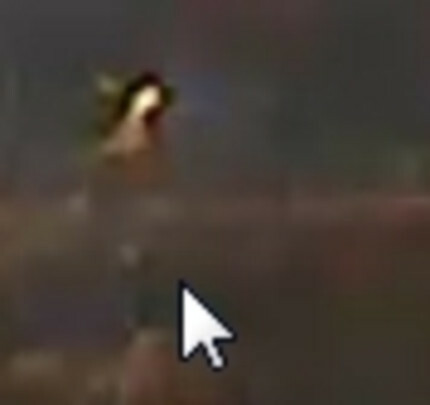 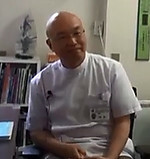 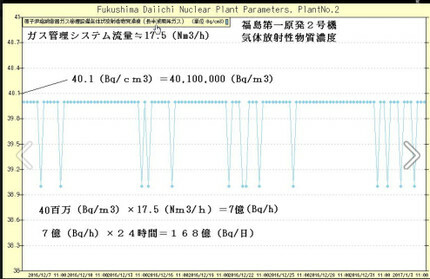 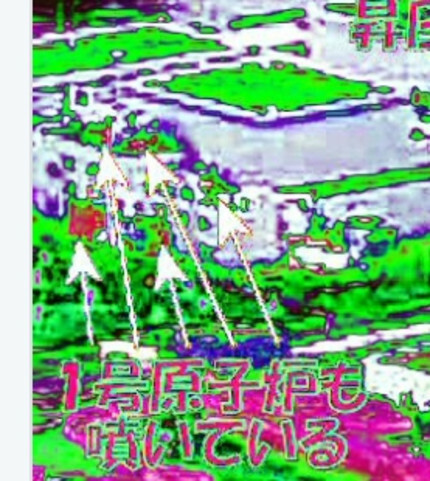 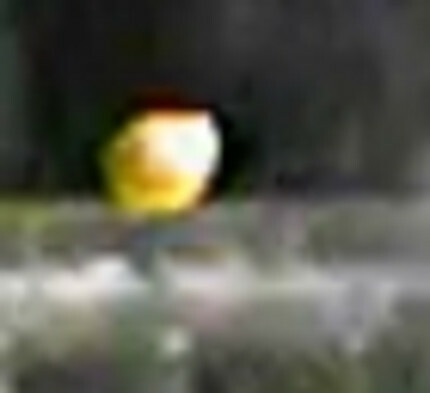 A research group led by Project Researcher Takao Yoshikane and Associate Professor Kei Yoshimura analyzed observational data and ran computer simulations to determine whether the radioactive plumes were carried by chance haphazard activity in the air or by a regular mechanism in the atmosphere. 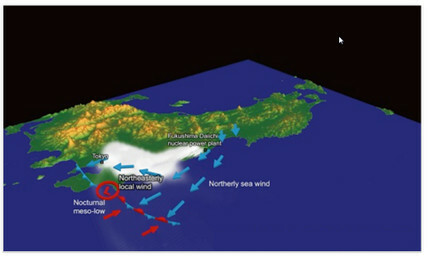 They found that the radioactive plume moves along two local wind systems that appear during the night on calm days when the impact of northwesterly seasonal winds and low-pressure systems are low. 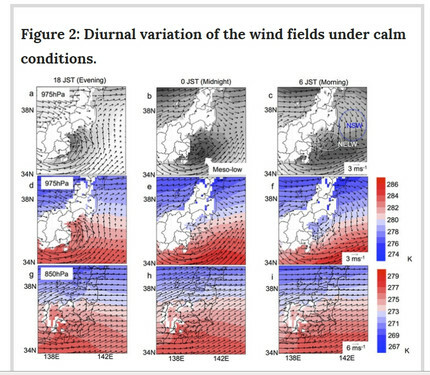 These nighttime local winds were formed by a difference in temperature between the North and the South, which created an upper layer of warm arm and a lower layer of cold air. 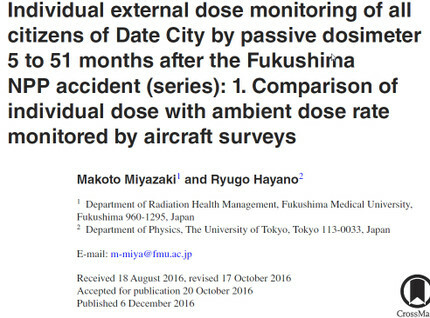 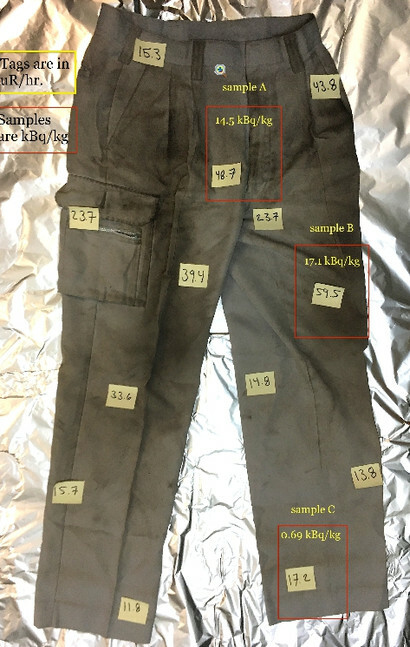 These findings indicate that should radioactive material be released over a long period of time, radioactive plumes could be frequently carried even to faraway places by such nocturnal local systems, and cause serious contamination in those areas. 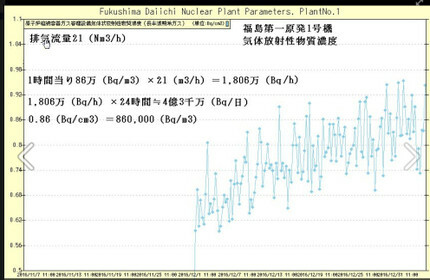 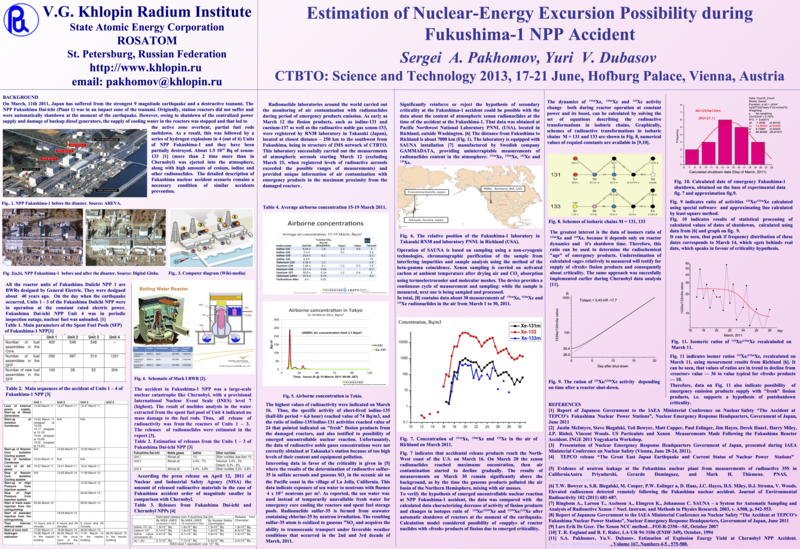 On the other hand, the data show that it is possible to make a rough prediction of when, where, and how the radioactive plumes will travel by knowing the cycle of the winds. 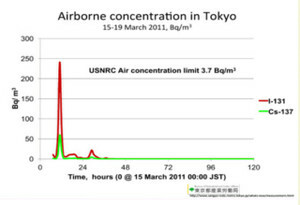 The current results could prove useful in determining when to seek shelter to avoid exposure to radiation. 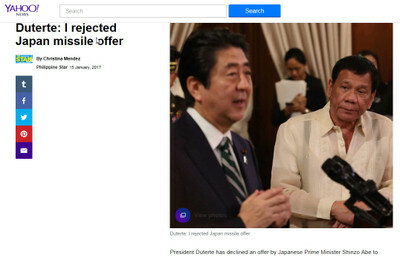 ・　President Duterte has declined an offer by Japanese Prime Minister Shinzo Abe to provide missiles to the Philippines, saying he does not want to see a Third World War. 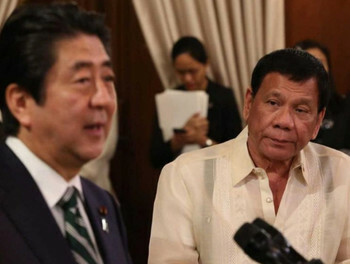 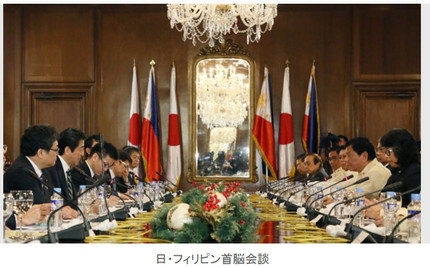 ・　Japan’s offer came after Russia initiated an offer to provide the Philippines with submarines but Defense Secretary Delfin Lorenzana said the country couldn’t afford it. 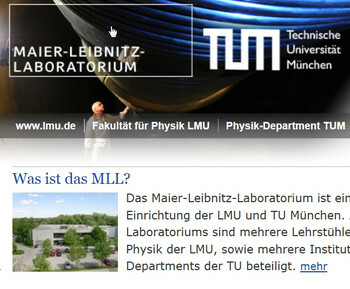 At the Maier-Leibnitz-Laboratory in Munich a method to detect long-lived Pu isotopes by Accelerator Mass Spectrometry (AMS) is being developed. 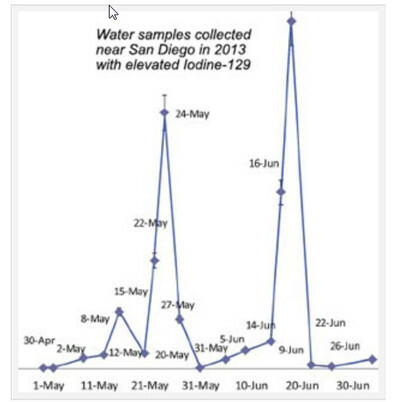 AMS requires only few milligrams of sample material, which is a substantial advantage over decay counting techniques. 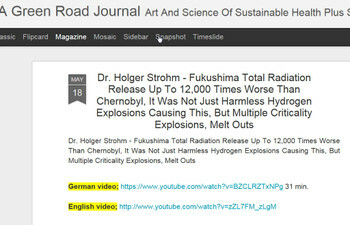 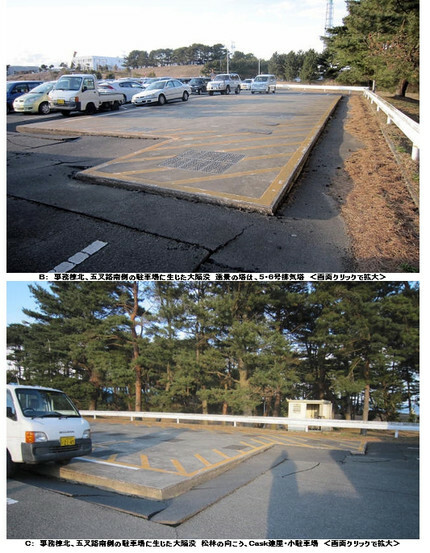 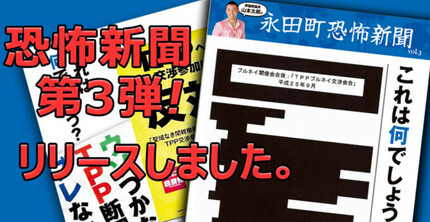 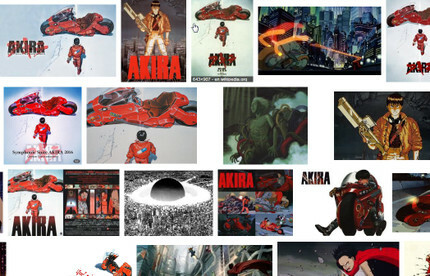 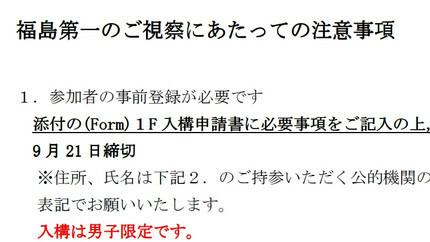 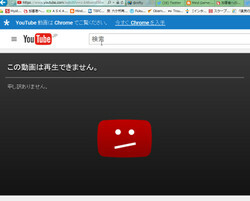 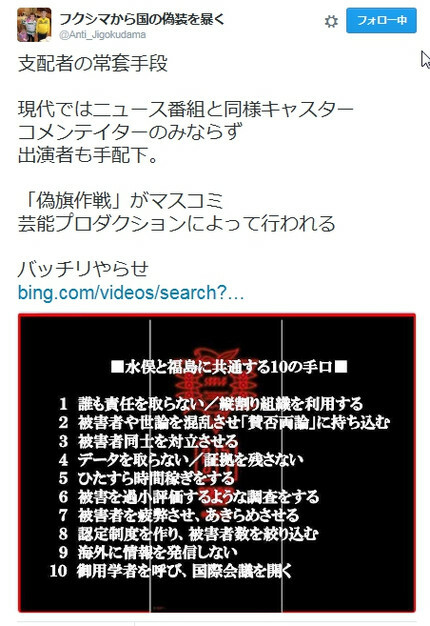 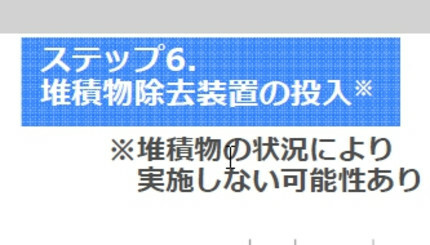 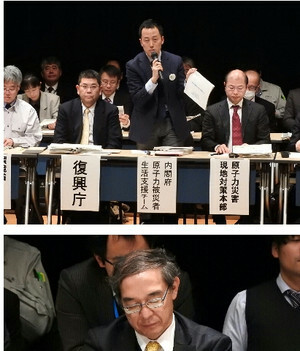 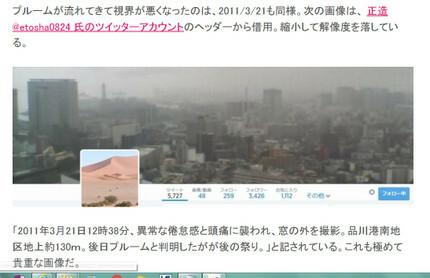 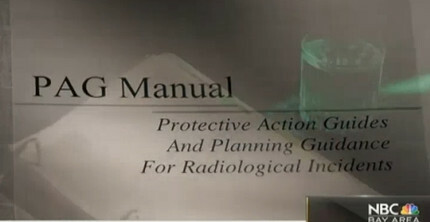 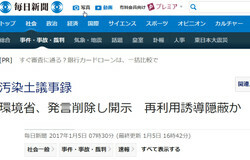 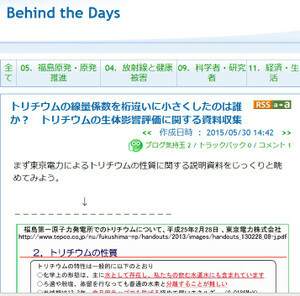 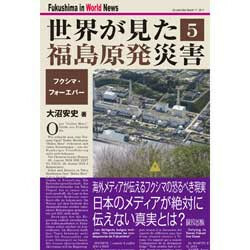 ・　EPA officials say they knew they needed to create these guides after seeing what happened in Fukushima, Japan in 2011. 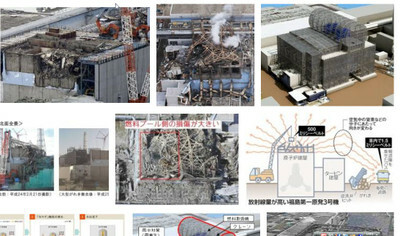 A Tsunami knocked out the coolant system of a nuclear reactor, spilling massive amounts of radiation. 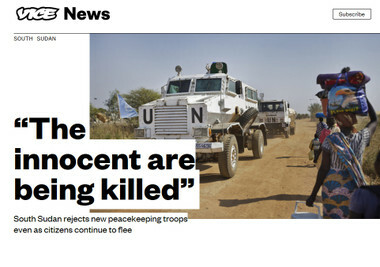 ・　South Sudan has rejected the deployment of a further 4,000 United Nation (UN) peacekeepers, insisting that the situation in the country is improving. 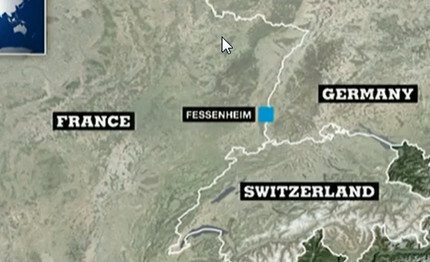 The new troops were to have strengthened the 13,500-strong UN team already in place. 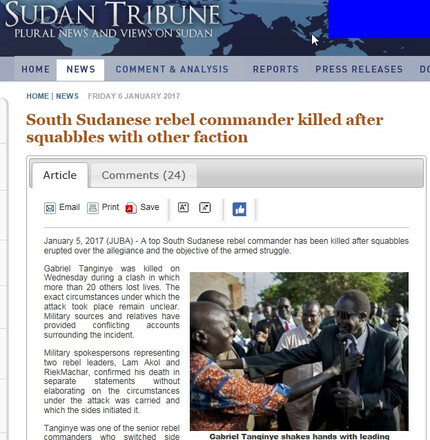 “The government of South Sudan has the ability to provide security and stability for the country and for its citizens without the deployment of a … protection force,” a spokesperson for the foreign ministry said Wednesday. 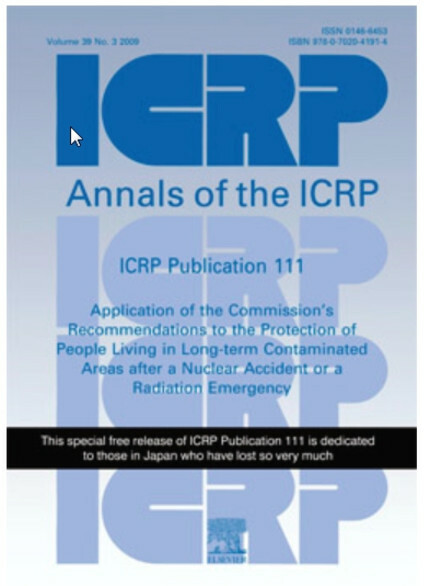 ・　existing exposure situations are exposure situations that already exist when a decision on control has to be taken, including prolonged exposure situations after emergencies. 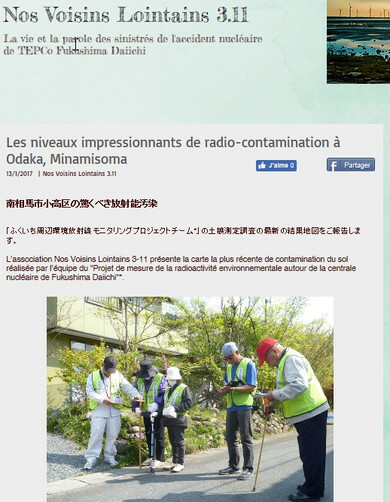 ・　They further develop the role of stakeholders, recognising that those concerned with this type of situation should be involved and given the opportunity to participate directly in the implementation of protective actions to control their exposure. 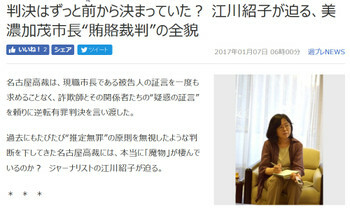 ・　But the Koreans can also argue that the recent visit by Japan’s defense minister, Tomomi Inada, to the Yasukuni Shrine in Tokyo, where a number of convicted war criminals are commemorated, is evidence that the Japanese do not fully acknowledge the crimes of their militarist past. 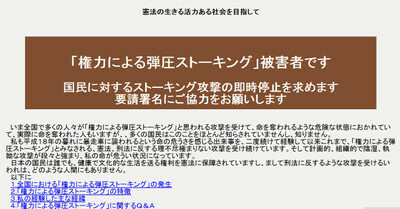 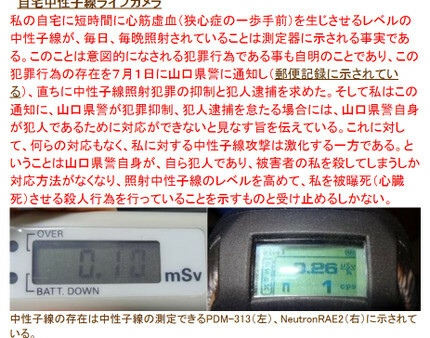 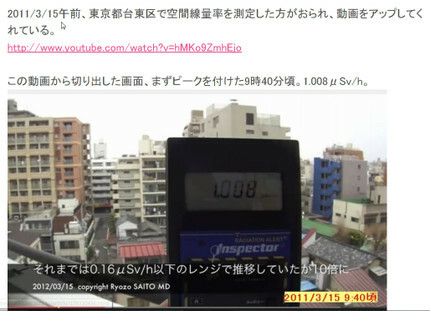 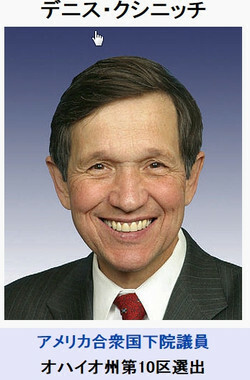 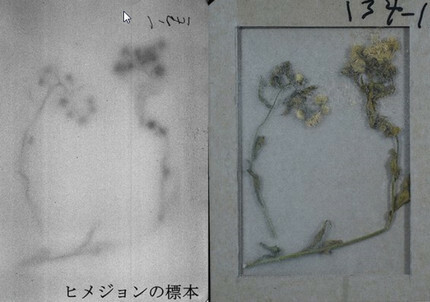 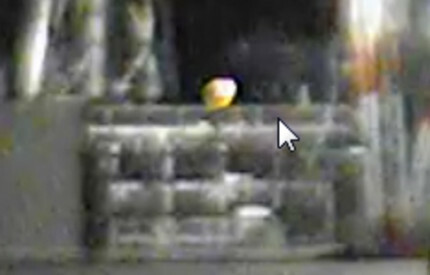 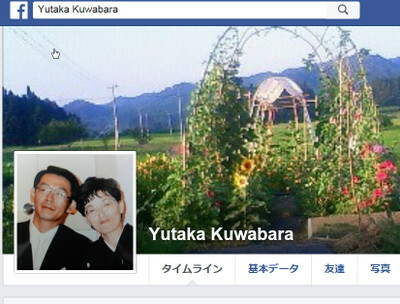 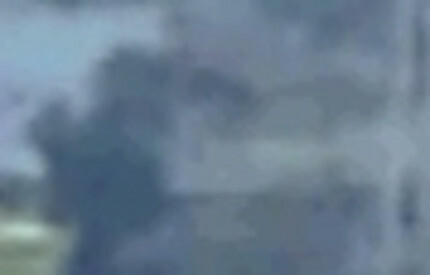 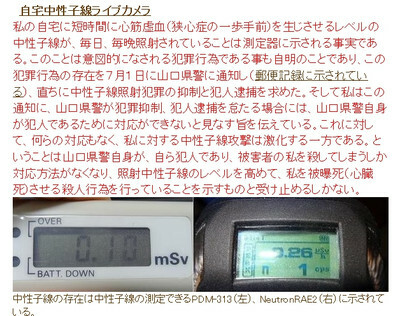 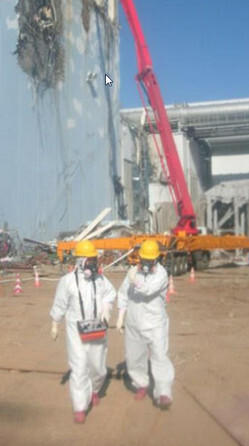 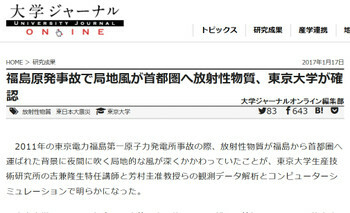 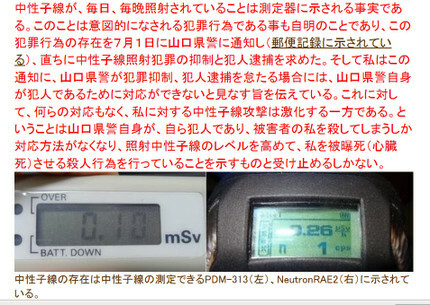 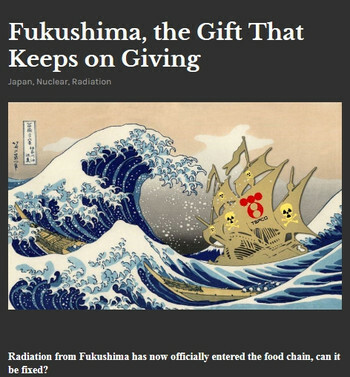 〔★は大沼〕　◎　トゥルース・アウト　：　Are the EPA's Emergency Radiation Limits a Cover for Fukushima Fumbles? 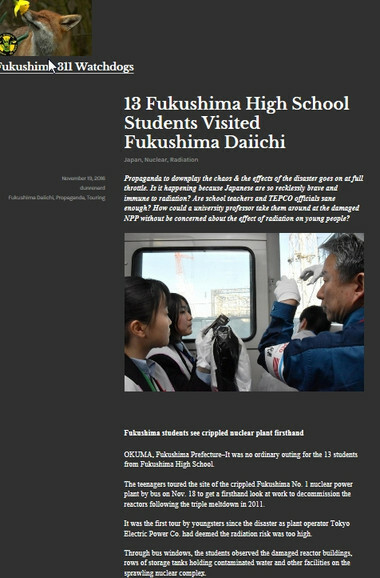 ・　In 2011, the Fukushima Daiichi Nuclear Power Plant in Japan suffered a meltdown after a deadly earthquake and tsunami and released massive amounts of dangerous radioactive contaminants into the ocean and atmosphere. 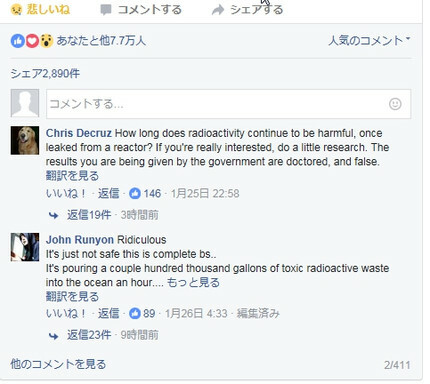 Ruch said the EPA was caught with its "pants down" as this radiation was detected in air, rainwater and even milk in the United States. 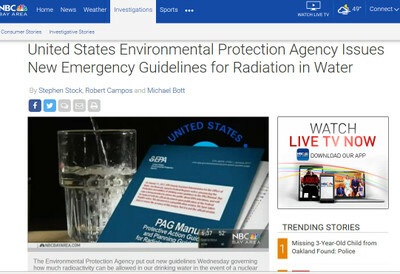 The EPA had been working since the early 1990s to develop guidelines on how the government should respond to such a disaster, but specific limits for radiation in drinking water are only now being set. 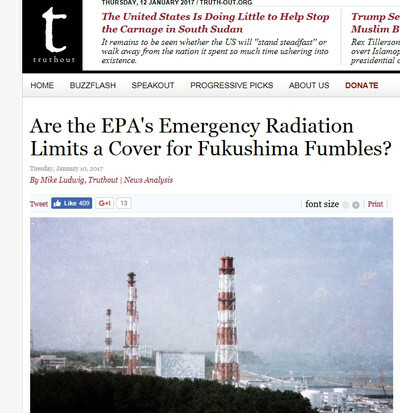 ・　The emergency limits are even higher than those proposed by the EPA during the final days of the Bush administration, which withdrew the proposal after facing public scrutiny and left the Obama administration with the job of finalizing the guidelines. 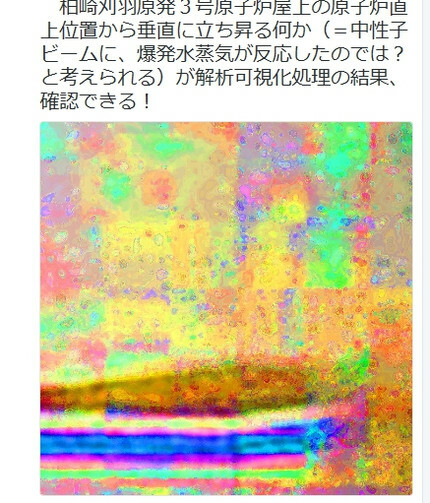 Veniet tempus quo posteri nostri tam aperta nos nescisse mirentur. 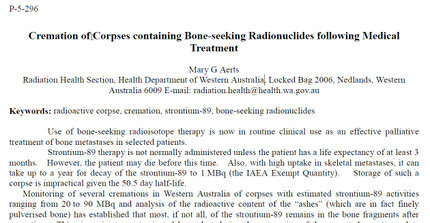 ・　A glimpse into new death technologies under construction is in legislation introduced by Ohio Congressman Dennis Kucinch. 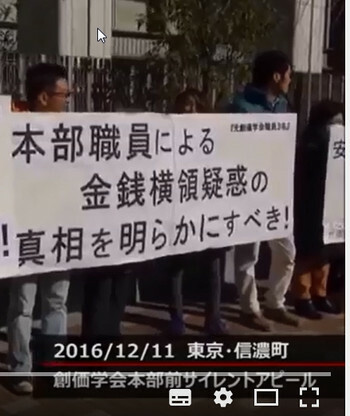 ・　Those who are involved with school education should bear in mind that animals are kept in schools to provide moral education to children. 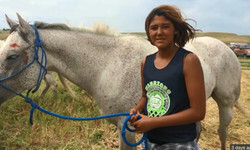 Hence, systems should be established to clear responsibilities during natural disasters, thereby enabling proper feeding, protection,and screening of these animals. 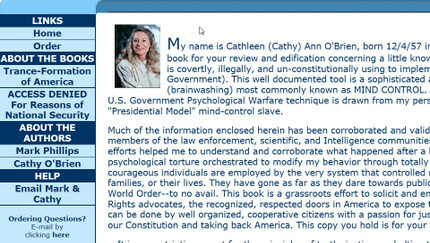 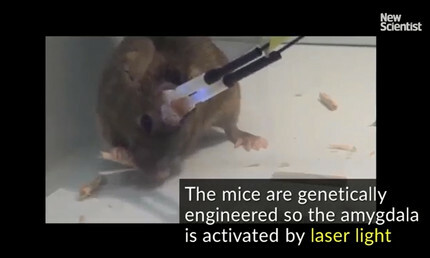 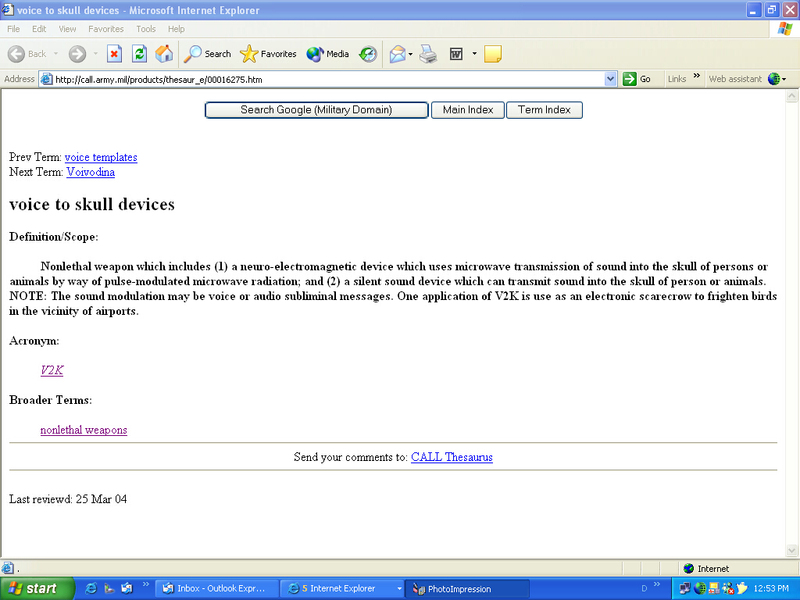 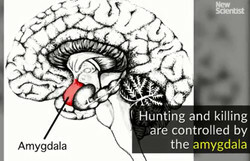 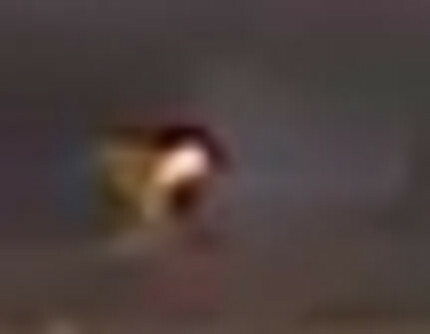 Nonlethal weapon which includes (1) a neuro-electromagnetic device which uses microwave transmission of sound into the skull of persons or animals by way of pulse-modulated microwave radiation; and (2) a silent sound device which can transmit sound into the skull of person or animals. 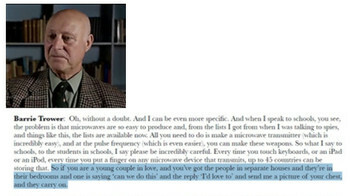 NOTE: The sound modulation may be voice or audio subliminal messages. 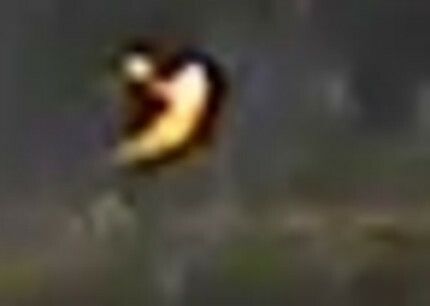 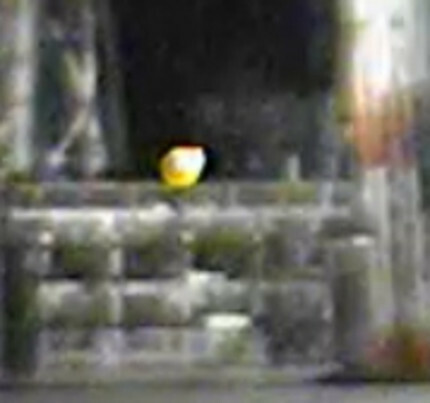 One application of V2K is use as an electronic scarecrow to frighten birds in the vicinity of airports. 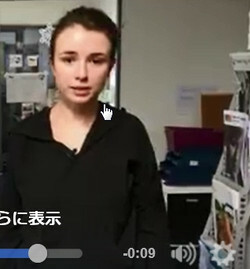 ・　Esteban told FBI agents in Alaska that the government was forcing him to watch Islamic State group videos, a law enforcement official said Friday. 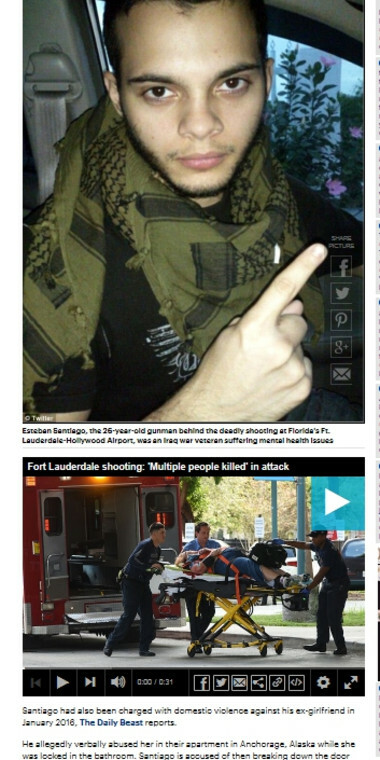 ・　The brother of a man accused of killing five people at a Florida airport questioned Saturday why his brother was allowed to keep his gun after U.S. authorities knew he’d become increasingly paranoid and was hearing voices. 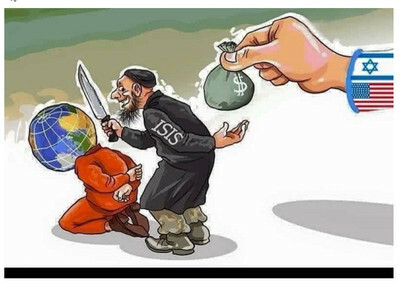 ・　Esteban Santiago, 26, had trouble controlling his anger after serving in Iraq and told his brother that he felt he was being chased and controlled by the CIA through secret online messages. 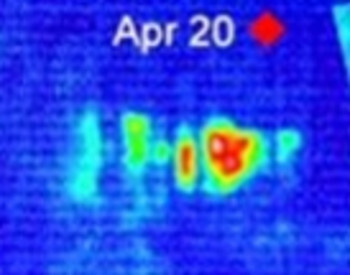 When he told agents at an FBI field office his paranoid thoughts in November, he was evaluated for four days, then released without any follow-up medication or therapy. 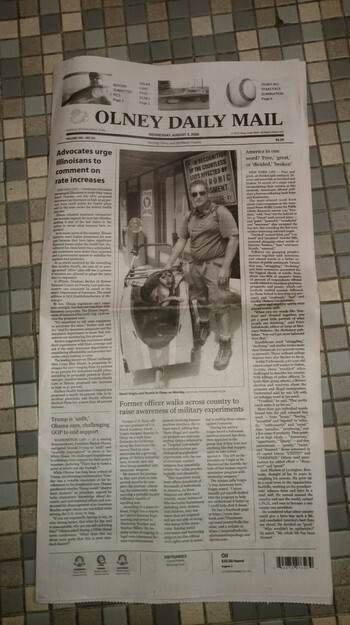 ・　He deployed in 2010 as part of the Puerto Rico National Guard, spending a year with an engineering battalion, according to Guard spokesman Maj. Paul Dahlen. 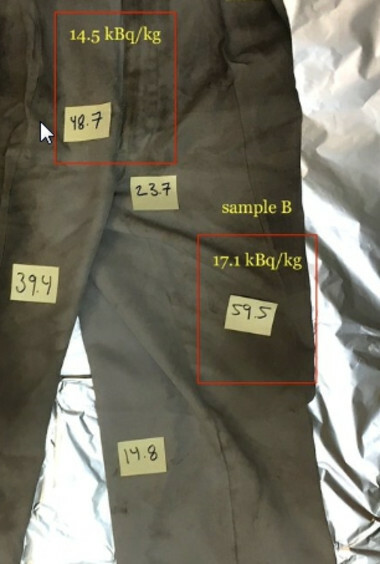 Esteban Santiago’s mother wiped tears from her eyes as she stood inside a screen door Saturday. 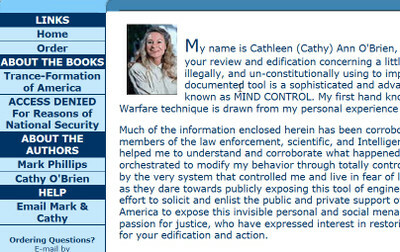 She said her son had been tremendously affected by seeing a bomb explode near two friends while serving in Iraq. 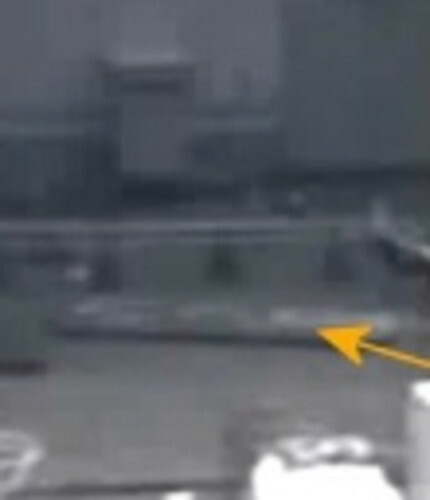 Several months ago, Santiago's strange behavior came to the attention of agents at the FBI's Anchorage office. 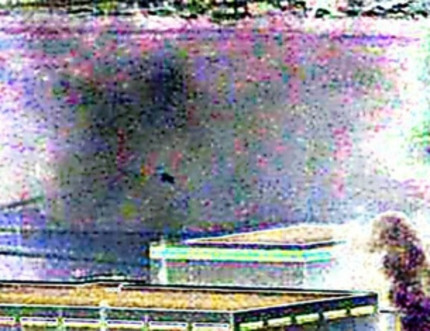 The suspect allegedly told authorities at the time that an intelligence agency was telling him to watch ISIS videos, according to law enforcement officials. 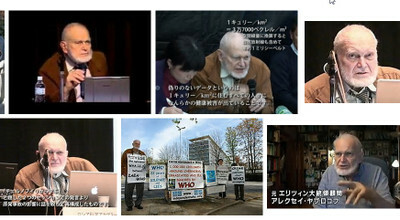 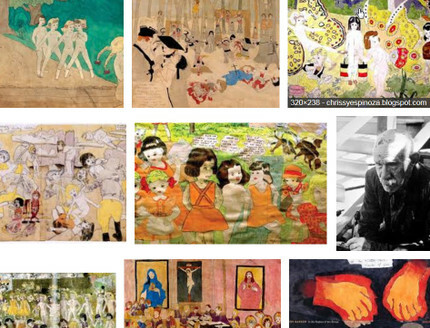 "He talked about all the destruction and the killing of children. 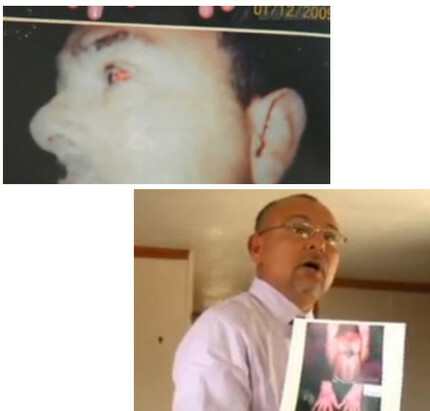 He had visions all the time," said Ruiz, speaking in Spanish during the interview. 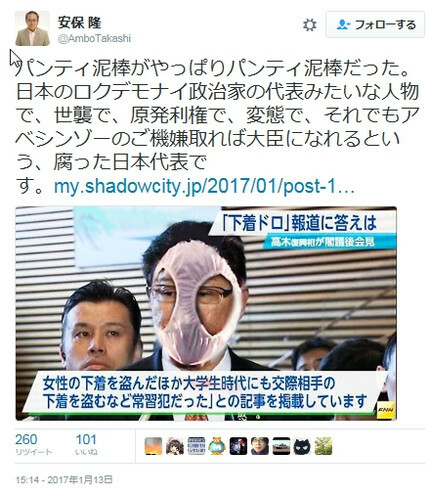 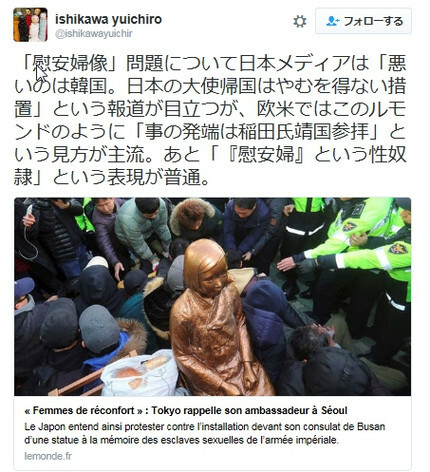 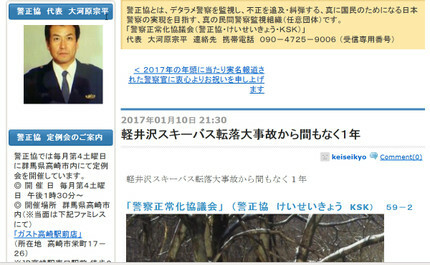 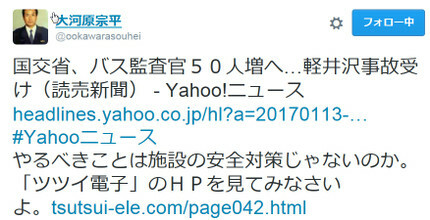 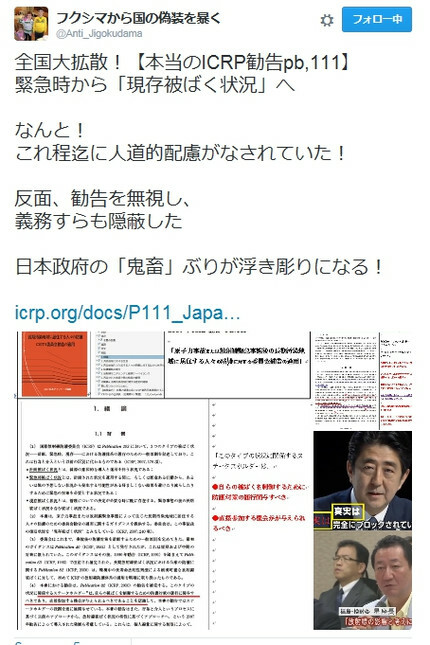 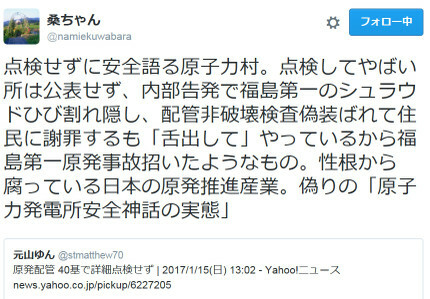 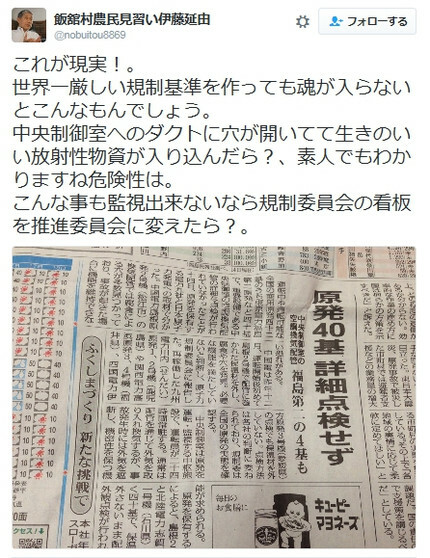 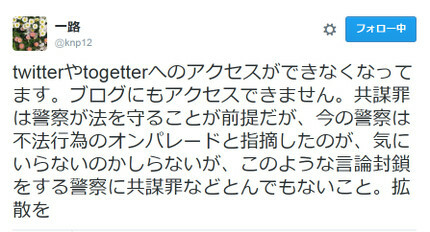 ・　Ce revirement faisait suite à la visite le 29 décembre par la ministre japonaise de la défense, Tomomi Inada, du sanctuaire tokyoïte Yasukuni qui honore des criminels de guerre nippons. 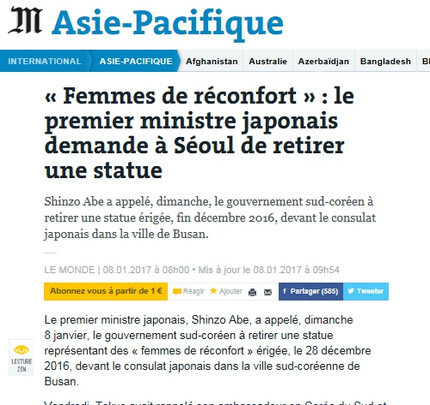 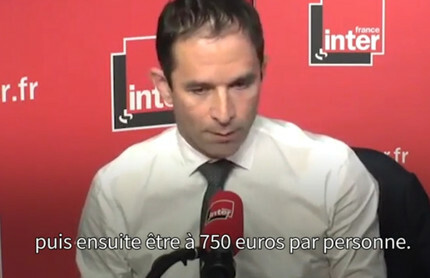 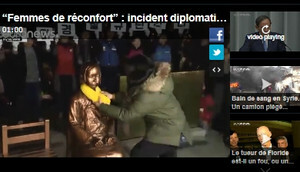 Une telle démarche est vue comme une provocation par la Corée du Sud et la Chine. 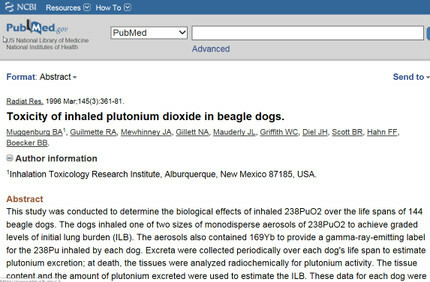 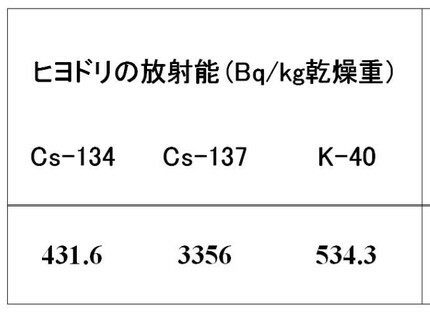 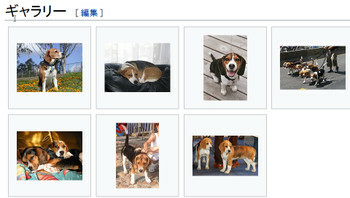 〔★は大沼〕　◎　Toxicity of inhaled plutonium dioxide in beagle dogs. 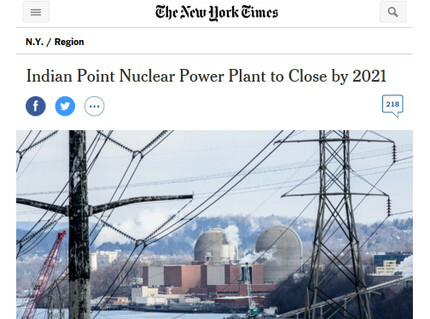 ・　The Indian Point nuclear plant will shut down by April 2021 under an agreement New York State reached this week with Entergy, the utility company that owns the facility in Westchester County, according to a person with direct knowledge of the deal. 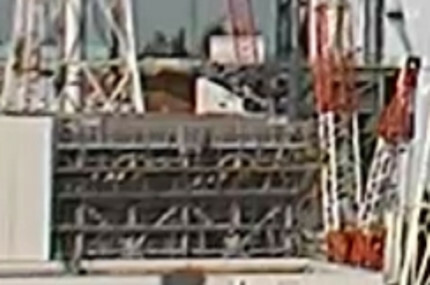 Under the terms of the agreement, one of the two nuclear reactors at Indian Point will permanently cease operations by April 2020, while the other must be closed by April 2021. 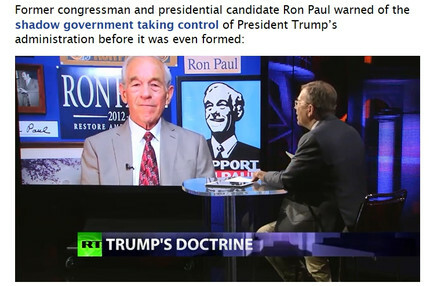 The shutdown has long been a priority for Gov. 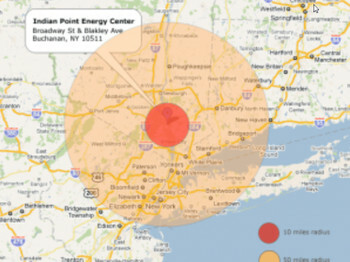 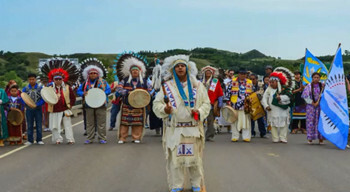 Andrew M. Cuomo, who — though supportive of upstate nuclear plants — has repeatedly called for shutting down Indian Point, which he says poses too great a risk to New York City, less than 30 miles to the south. 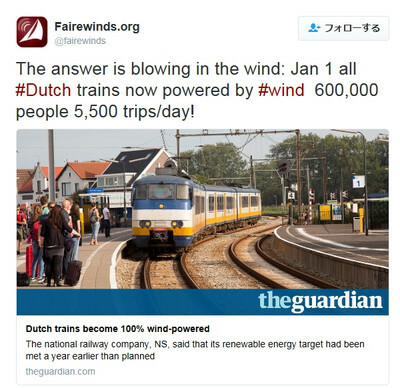 Electric trains have always been a relatively sustainable mode of transport, with much lower emissions than cars, but as of the 1st of January, 2017, all electric train rides in the Netherlands have become even greener. 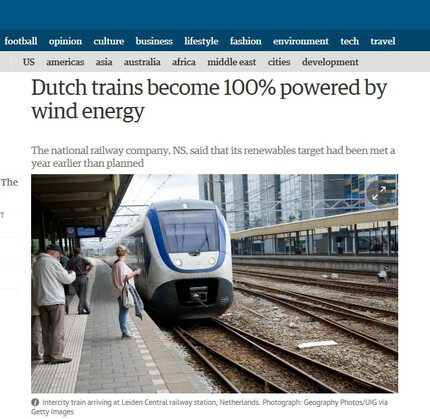 They are now entirely powered by clean, renewable, wind energy. 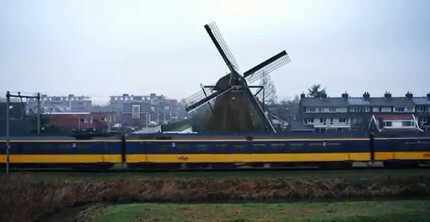 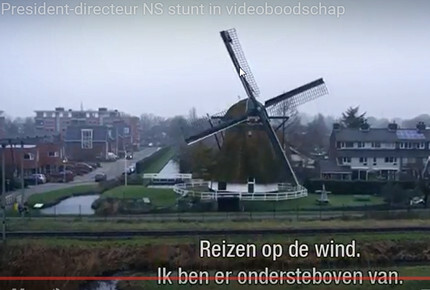 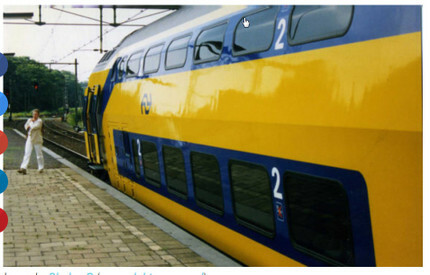 Dutch railway companies, of which NS is by far the largest, teamed up with energy company Eneco in 2015 to cut train ride emissions drastically. 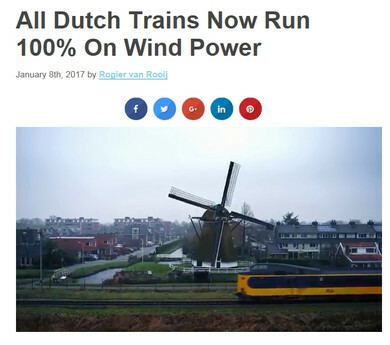 Originally, 2018 was set as the target for changing to 100% renewable power sources. 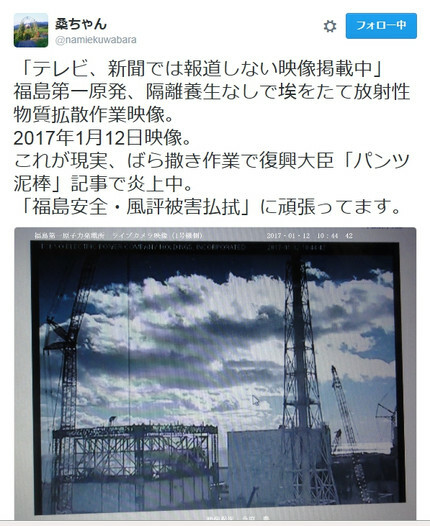 After having reached 75% in 2016, though, the 100% transition was completed one year ahead of schedule. 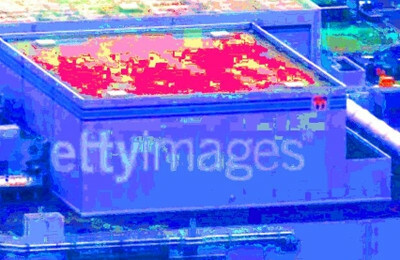 ・　The segments of the sarcophagus were actually built and pre-assembled in Italy. 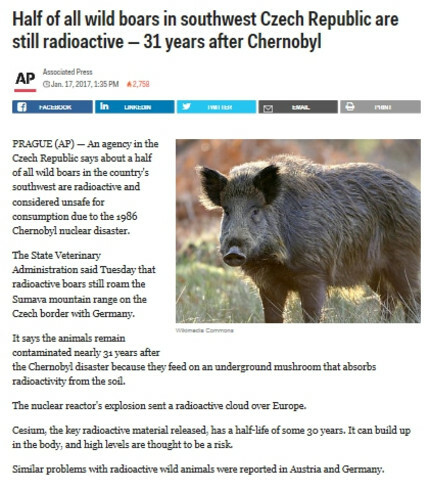 They had to be shipped by sea to Ukraine, then trucked to the site in Chernobyl. 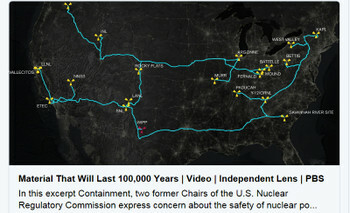 It took 18 ships and 2,500 trucks to complete this gargantuan task. 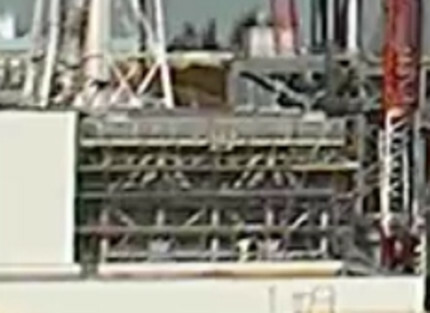 The basic framework was erected on site in late 2014. 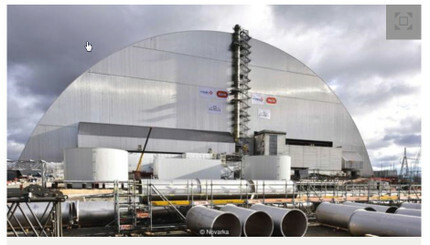 By this point, it was 28 years since the Chernobyl accident. 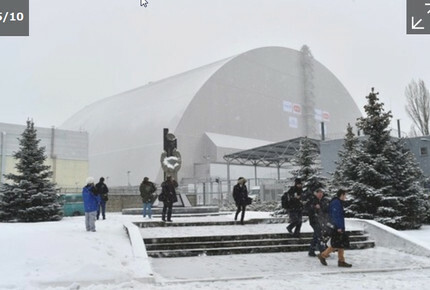 In that time, Ukraine had gone through two revolutions and was now in the midst of a full scale war. 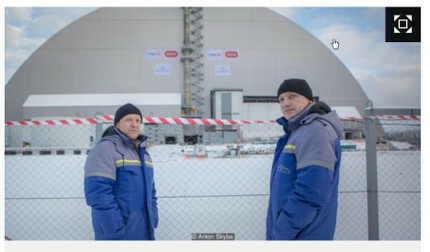 ・　Over the next two years, the interior of the sarcophagus was assembled, including advanced ventilation systems and remote controlled robotic cranes that would dismantle the existing Soviet-built structure and reactor once the new one was sealed. 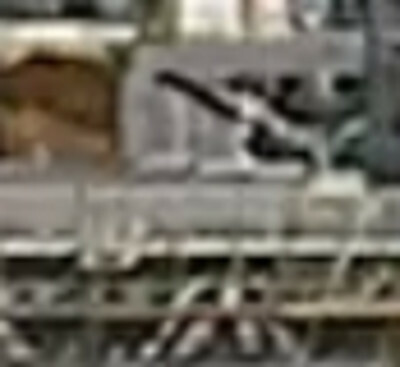 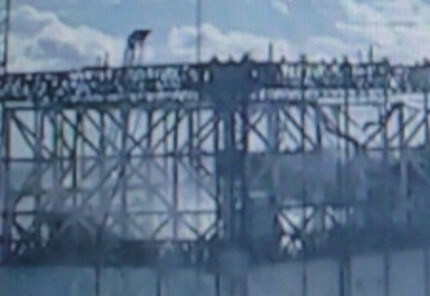 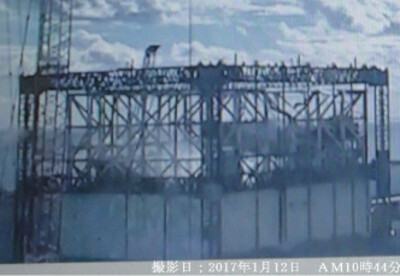 The entire building was moved into its final resting place on 29 November 2016, 30 years and seven months since the explosion that set all of this in motion. 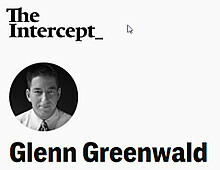 As alluded to above, the Oscar-winning director of Platoon and Born on the Fourth of July and a Vietnam War veteran, Stone provided links that to reporting that purportedly debunks the Russian hacking allegations and also pointed that the mainstream media is ignoring an account that Wikileaks received the hacked Democratic National Committee emails and/or the John Podesta emails that were later released into the public domain from a disgruntled DNC insider. 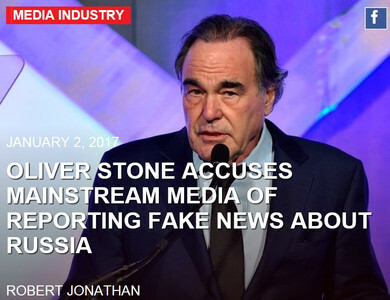 “Clearly the DNC offices were up to no good,” Stone claimed. 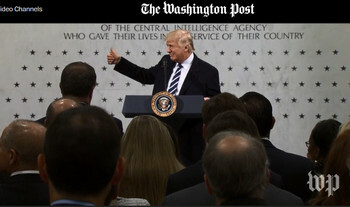 “The director writes that he doesn’t agree with the conclusion that the CIA, NSA, FBI, DNC, Hillary Clinton and multiple other groups have made in blaming Russia and ‘singling out’ Putin over Trump’s win,” The Hollywood Reporter summarized. 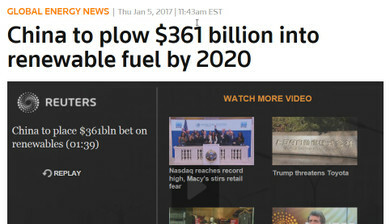 China will plow 2.5 trillion yuan ($361 billion) into renewable power generation by 2020. 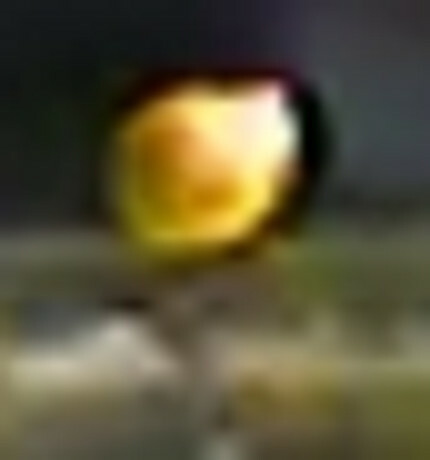 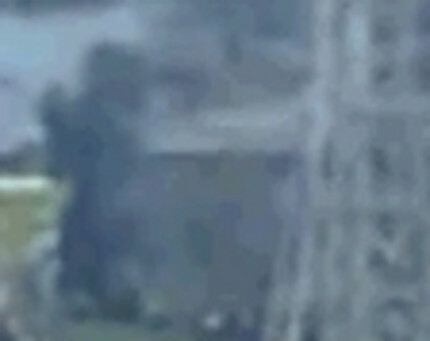 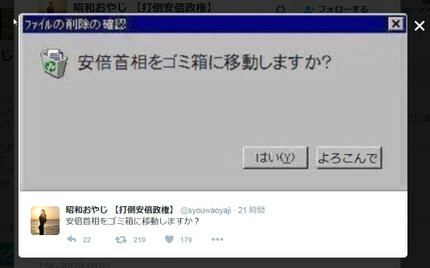 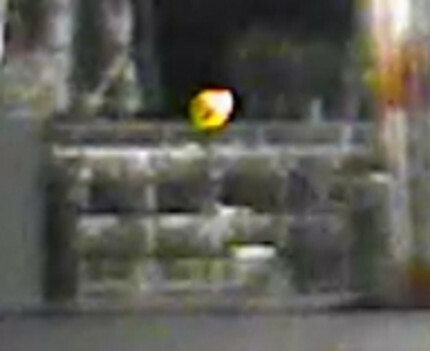 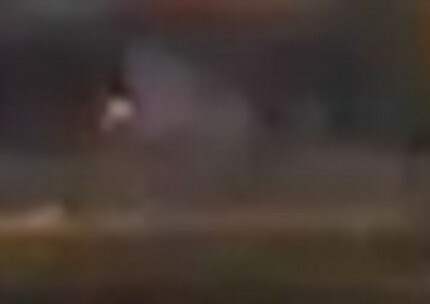 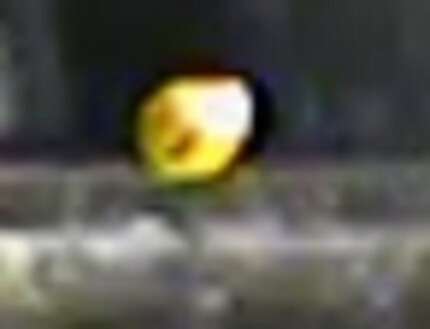 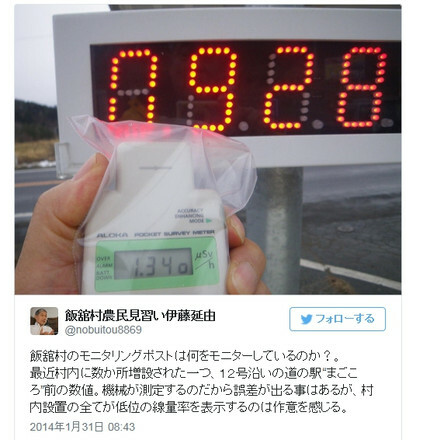 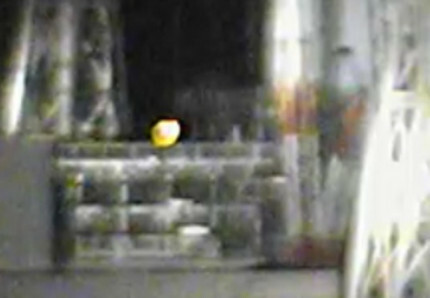 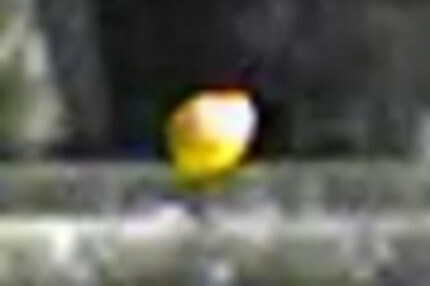 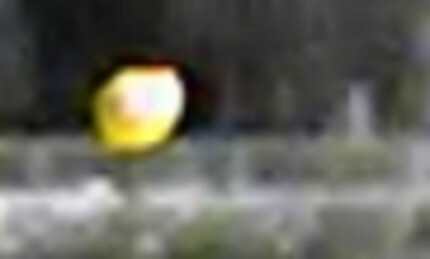 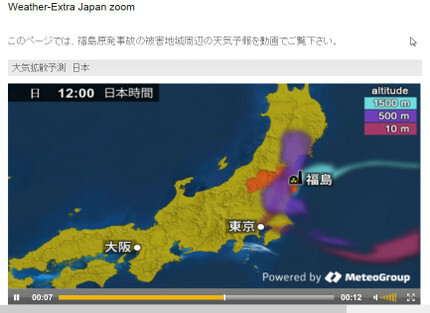 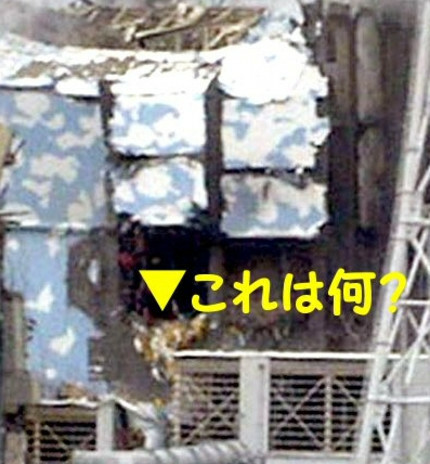 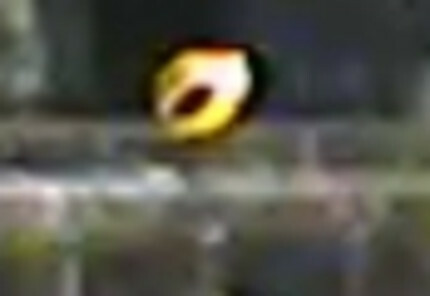 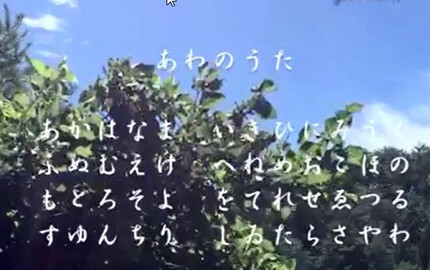 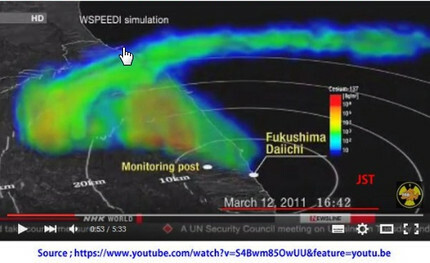 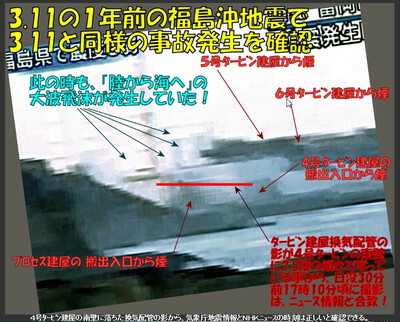 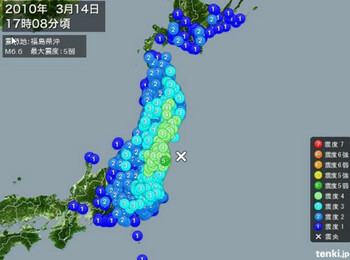 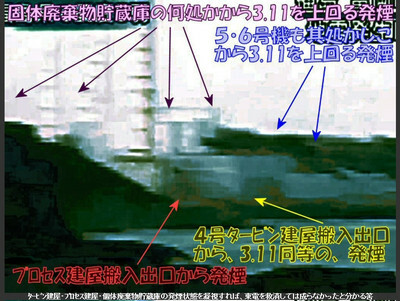 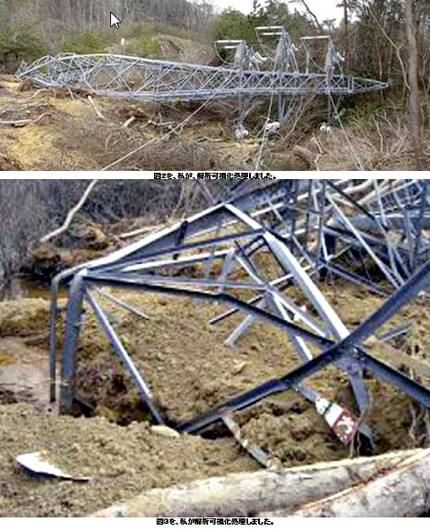 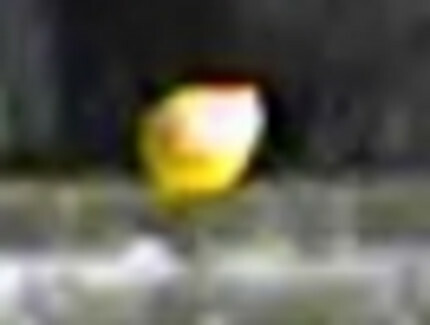 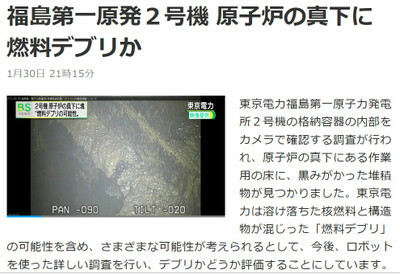 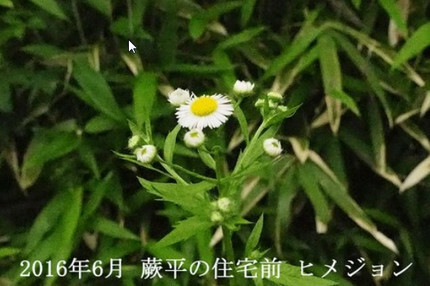 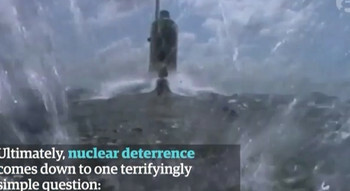 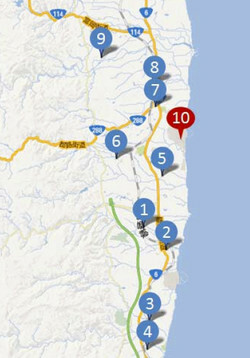 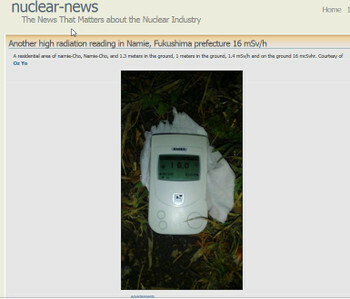 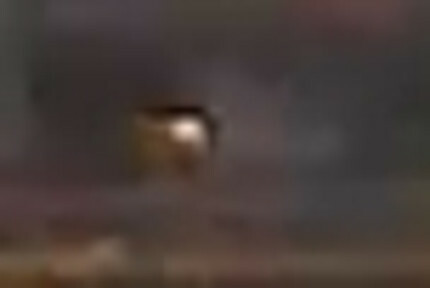 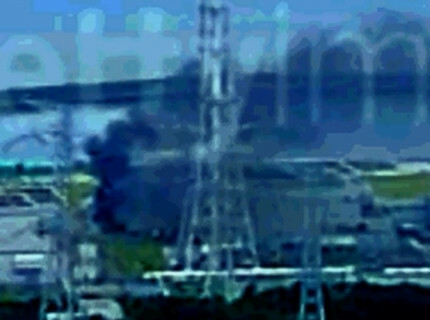 It happened with devastating speed in Fukushima, Japan. 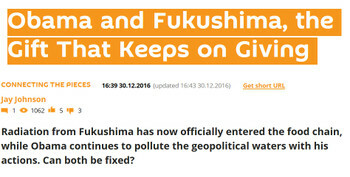 It’s happening slowly all over the United States: radioactive waste is seeping into the soil and groundwater. 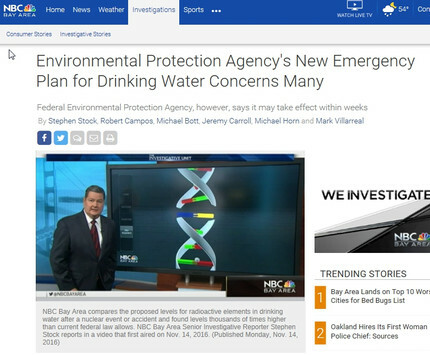 ・　NBC’s Investigative Unit obtained internal documents in which the EPA’s own experts and lawyers question the new plan, and how it might undermine the Safe Drinking Water Act. 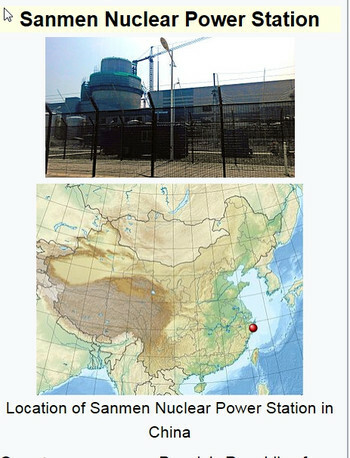 ・　For clues to what happened, the reactor being built by its Westinghouse Electric Co. division in this seaside town south of Shanghai offers an illuminating Exhibit A. 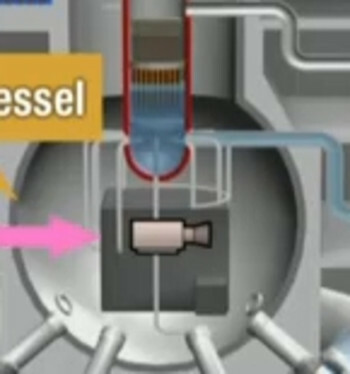 The Sanmen reactor was meant to be the showcase of a new technology that Westinghouse hopes will revolutionize the nuclear industry by making power plants safer, less labor-intensive and quicker to build. 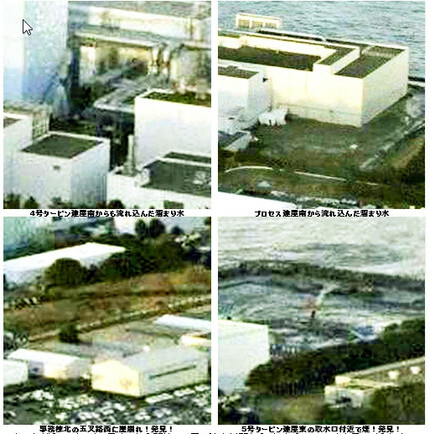 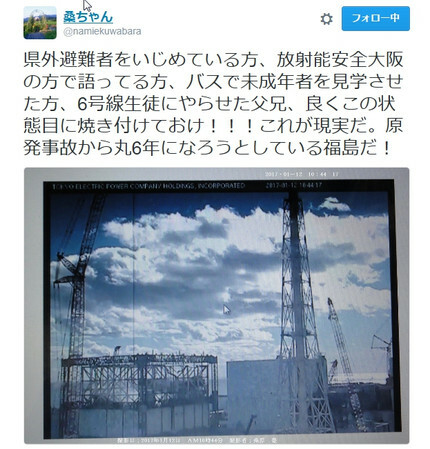 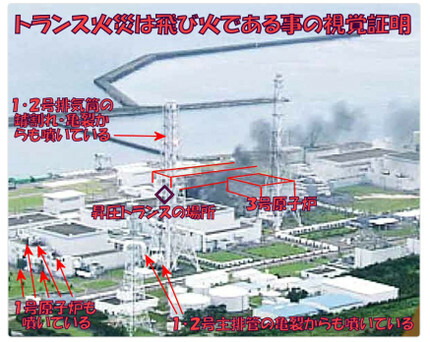 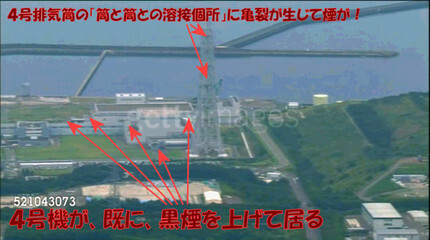 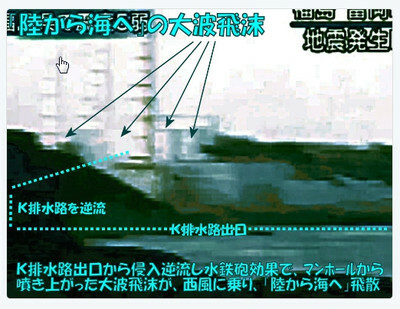 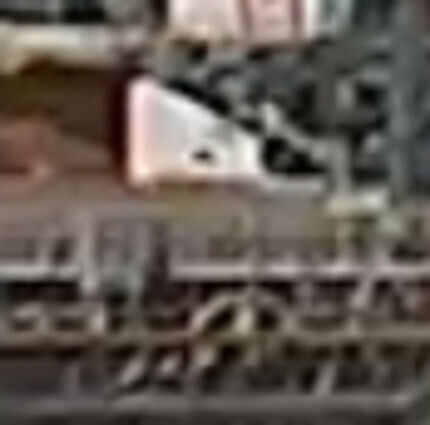 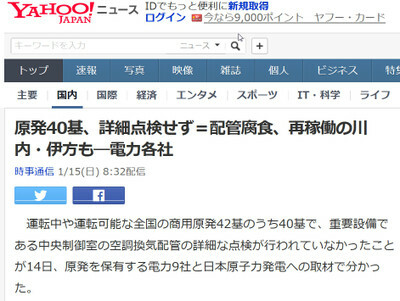 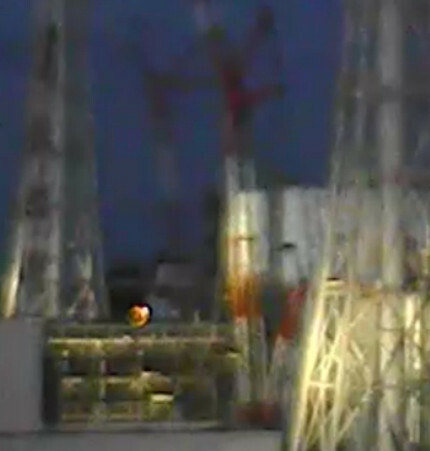 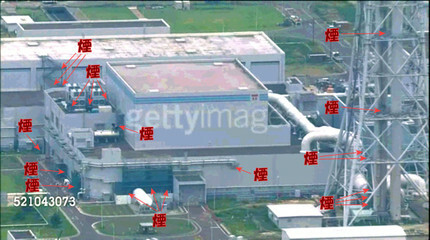 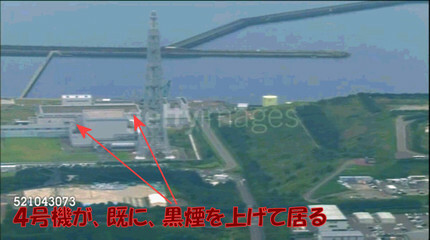 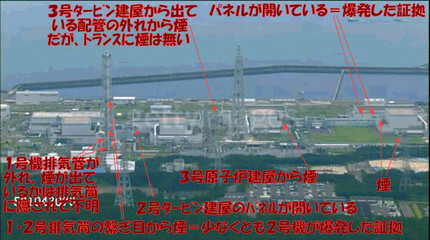 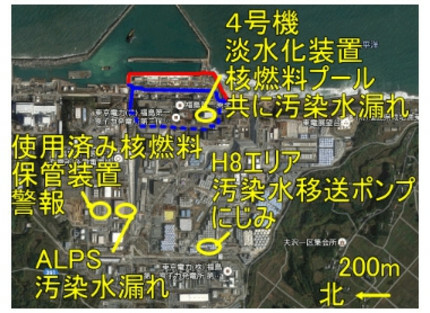 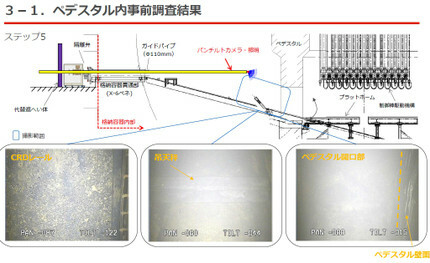 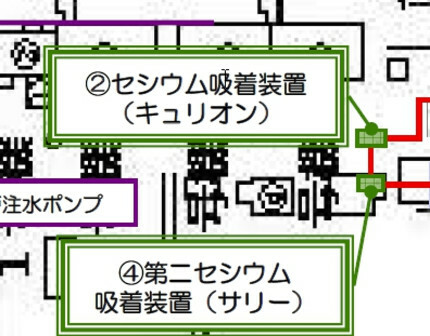 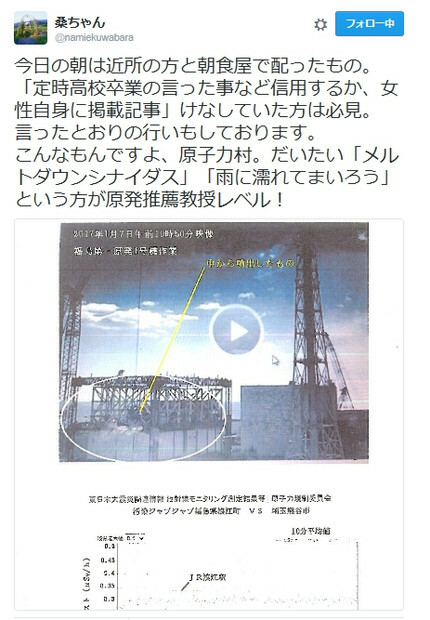 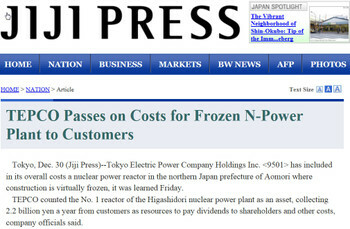 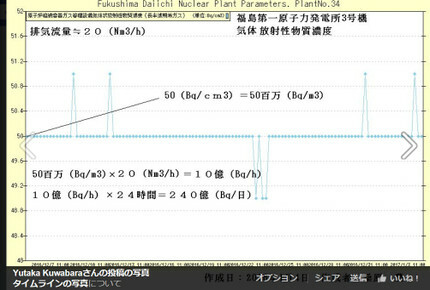 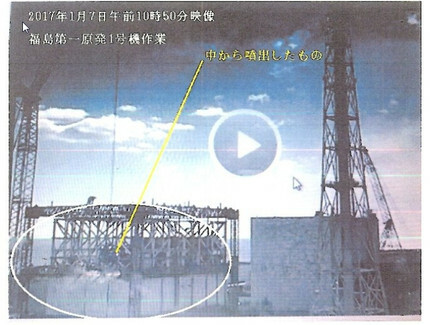 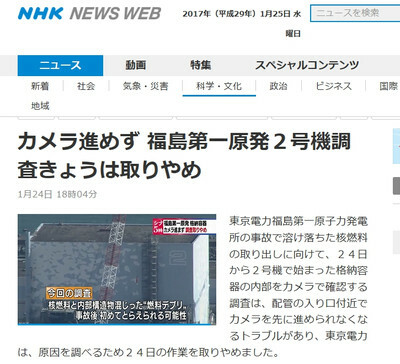 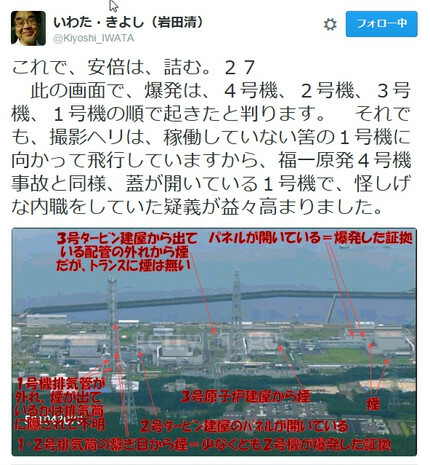 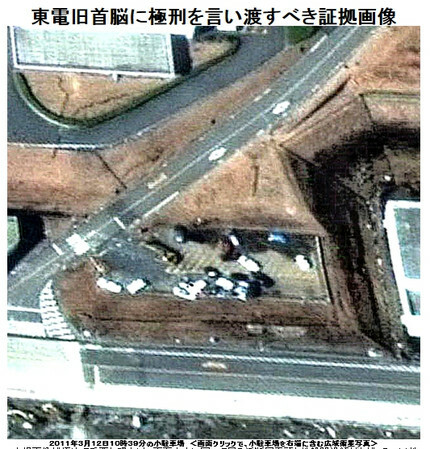 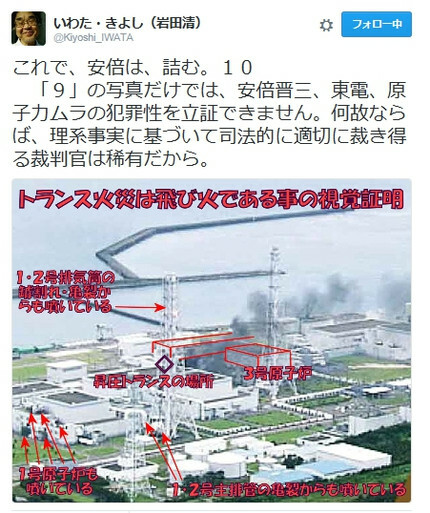 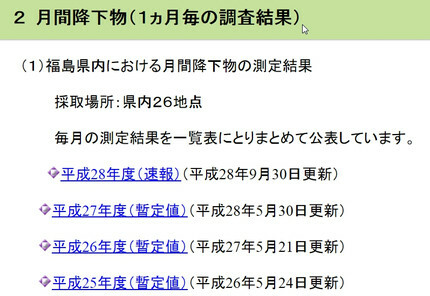 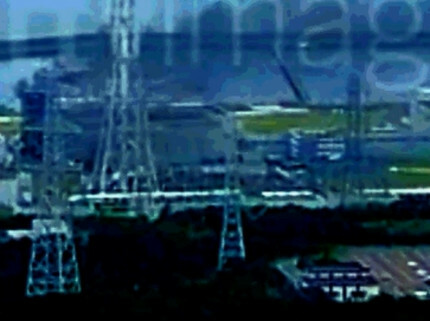 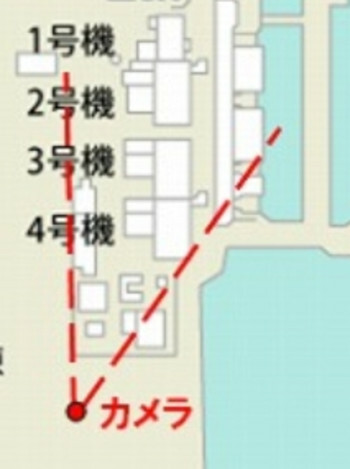 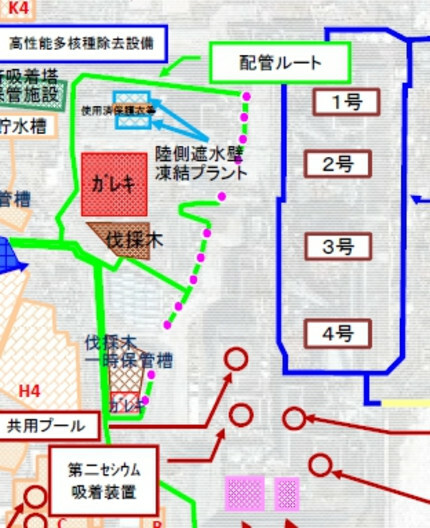 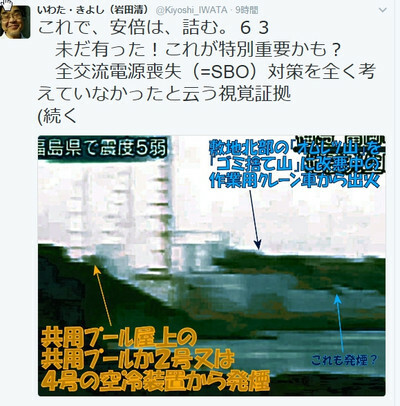 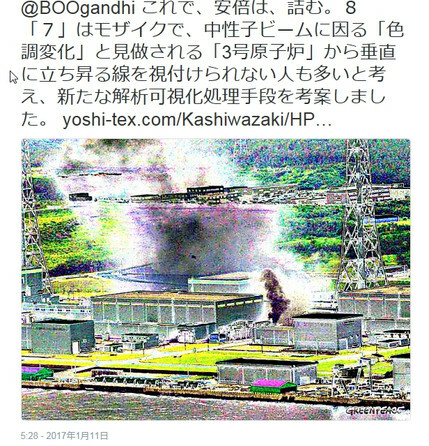 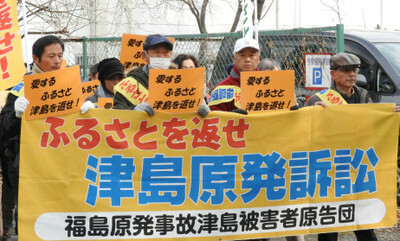 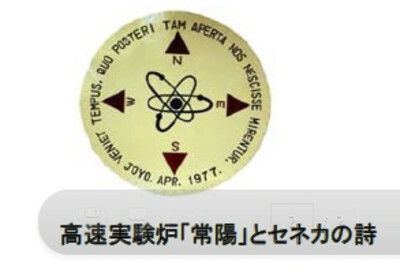 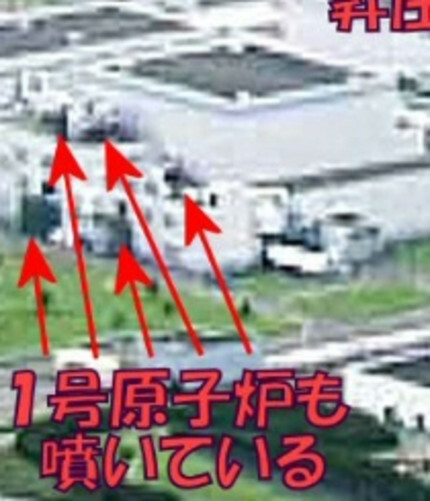 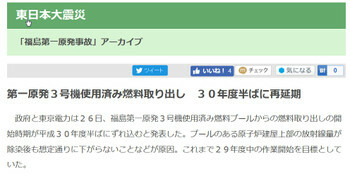 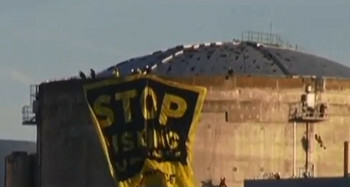 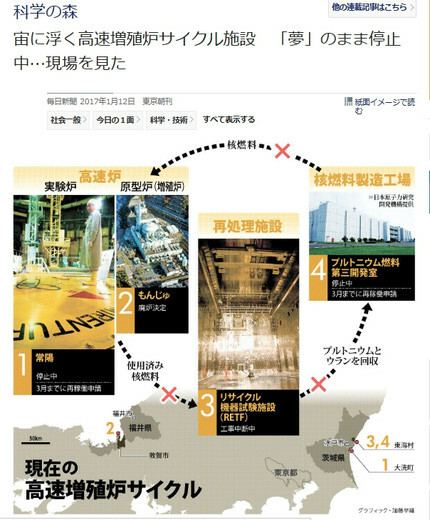 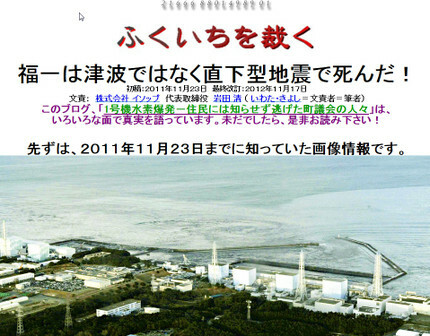 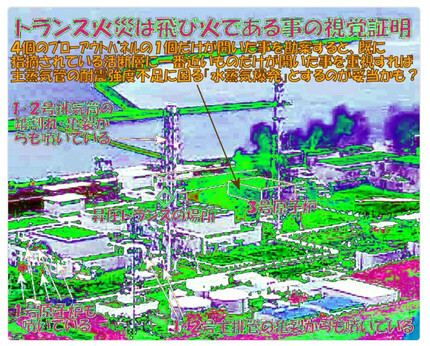 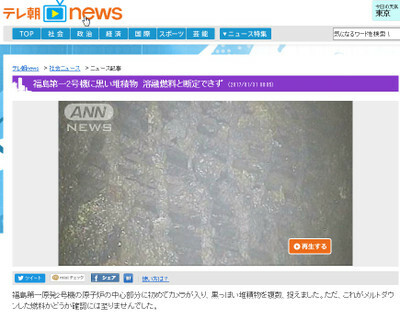 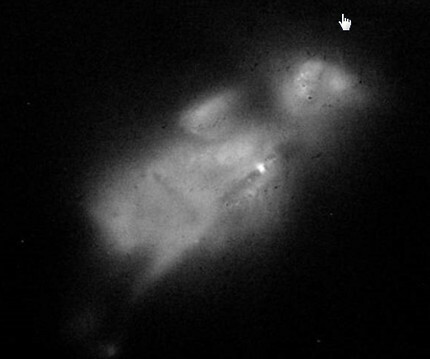 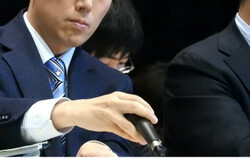 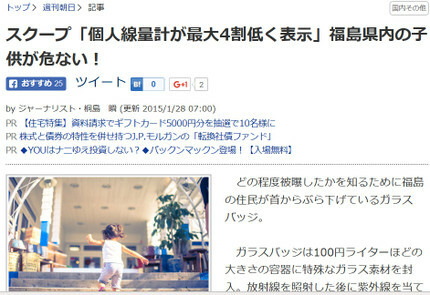 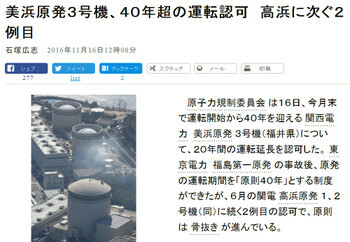 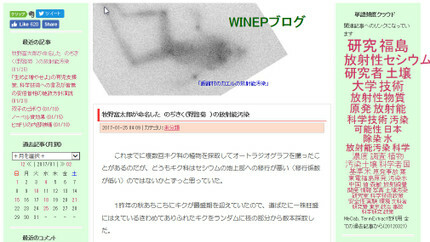 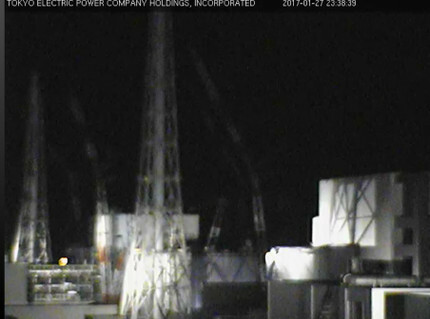 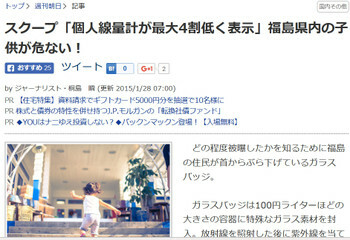 ・　Instead, the first so-called AP1000 reactor has been bedeviled by delays. 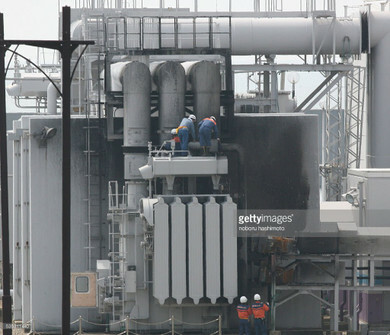 In one instance, a critical component in its cooling system failed, slowing work by more than two years. 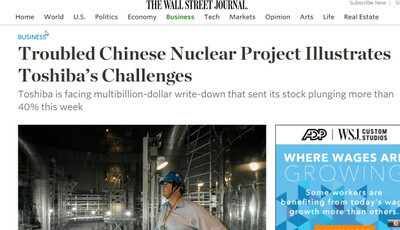 Meanwhile, Westinghouse struggled for years to complete its design work for the AP1000, adding to delays and angering its Chinese state-owned customer. 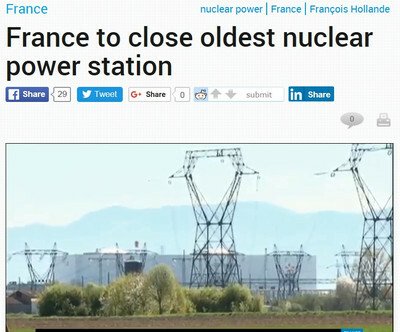 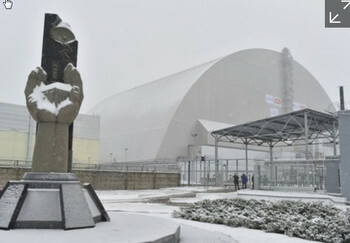 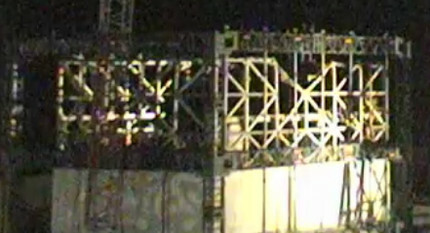 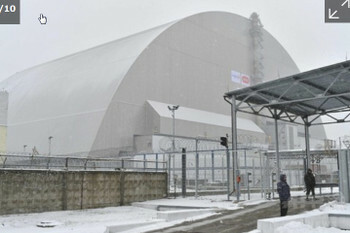 The reactor is now at least three years behind schedule. 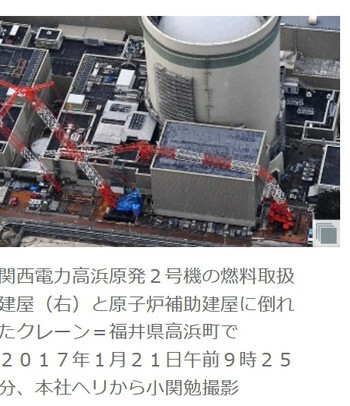 Westinghouse said Thursday it aims to load enriched uranium fuel in the reactor early next year, pushing back its previous year-end goal. 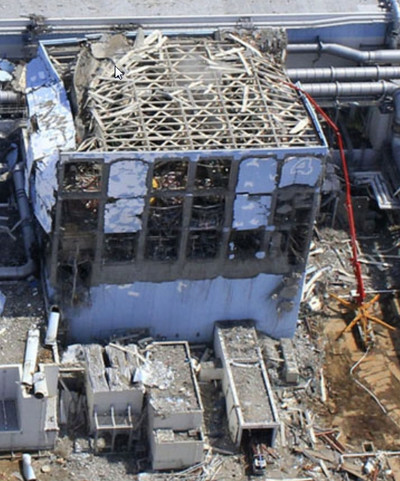 The troubles in Sanmen mirror those at nuclear projects around the world—including four by Westinghouse in the U.S.—that led to this week’s announcement by Toshiba that it is looking at billions of dollars in potential losses, triggering a massive selloff by investors. 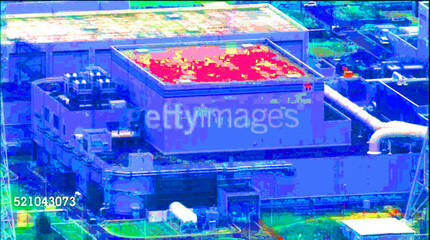 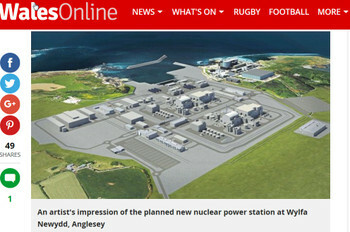 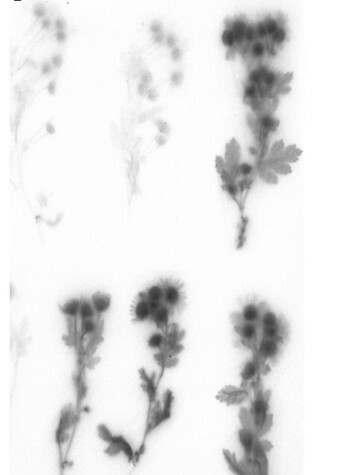 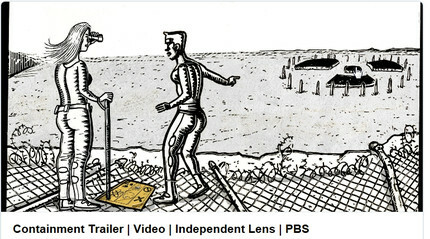 ・　On paper, the AP1000 is revolutionary, offering a dramatic rethink of how nuclear-power plants should work. 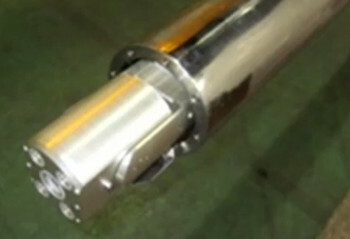 It cuts the numbers of valves, pumps and other components needed to operate, and the simpler design was supposed to make it easier and quicker to build. 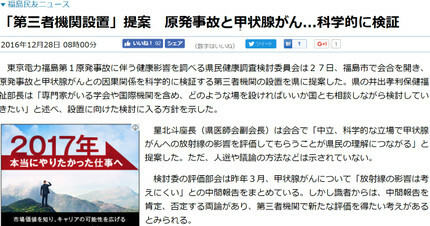 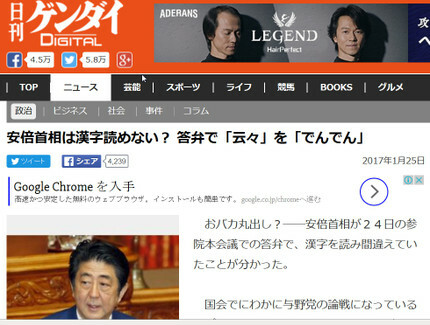 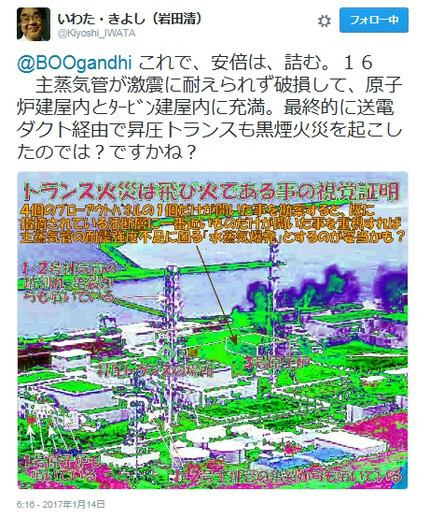 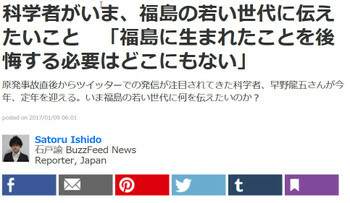 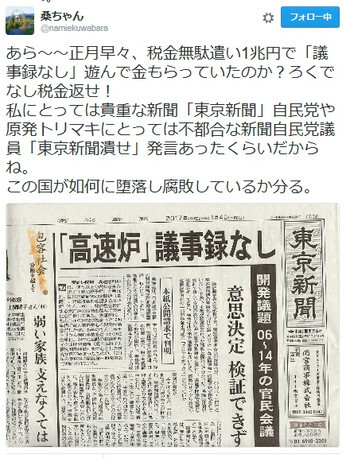 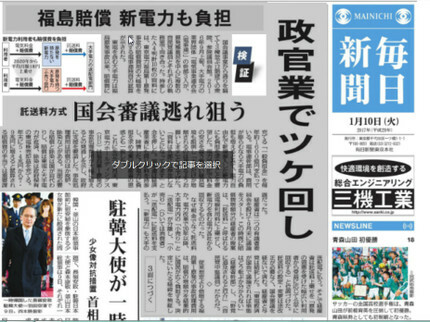 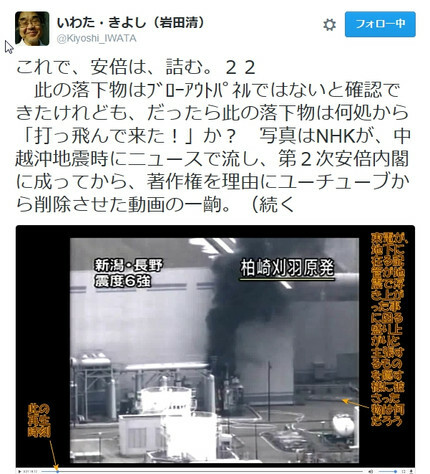 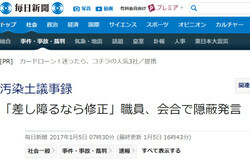 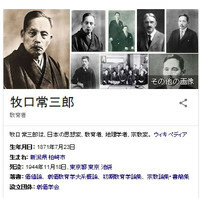 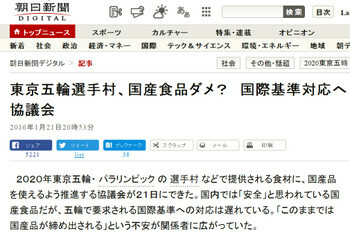 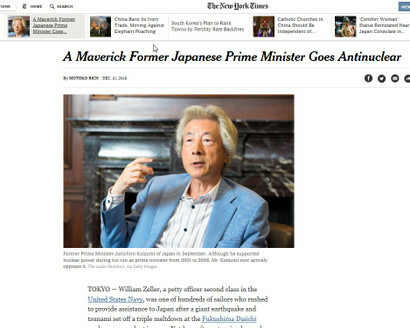 〔★は大沼〕 ◎　ＮＹＴ電子版　：　A Maverick Former Japanese Prime Minister Goes Antinuclear　（一匹オオカミの元日本の首相、反原発に）　（米国東部時間、３１日付け。紙面では１日付け）：　A version of this article appears in print on January 1, 2017, on Page A8 of the New York edition with the headline: Ex-Leader of Japan Turns Nuclear Foe. 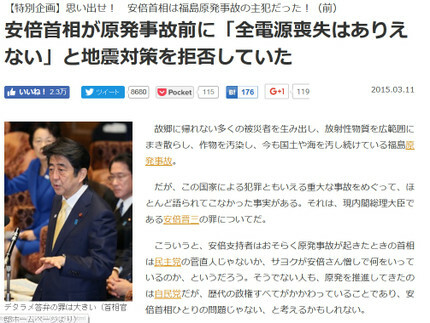 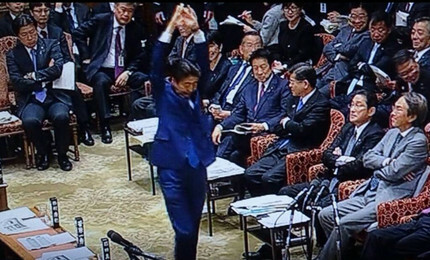 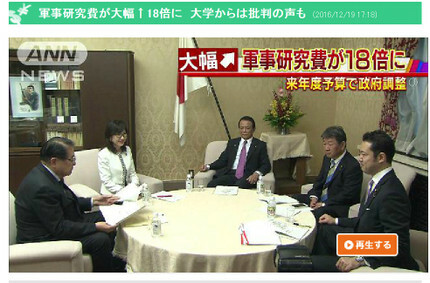 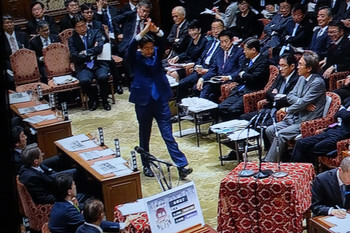 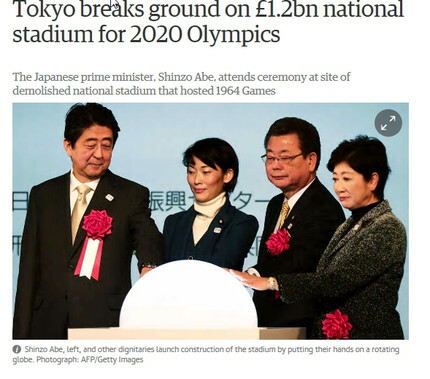 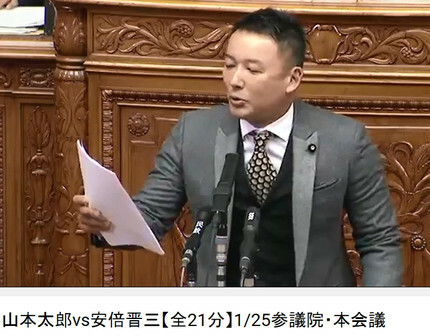 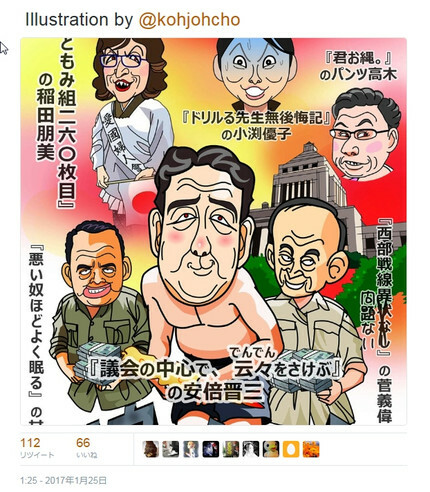 ・　The reversal means going up against his old colleagues in the governing Liberal Democratic Party as well as Prime Minister Shinzo Abe, who are pushing to get Japan, once dependent for about a third of its energy on nuclear plants, back into the nuclear power business. 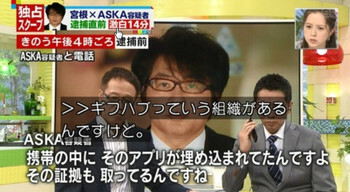 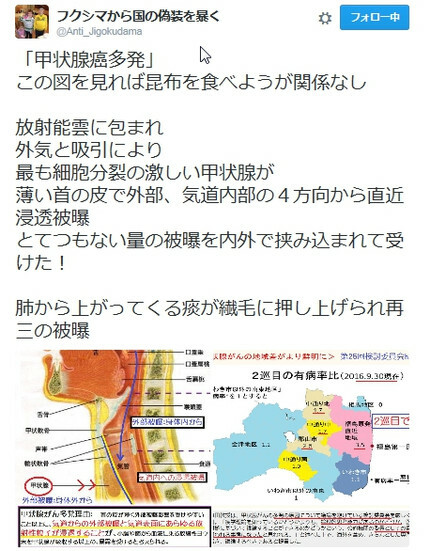 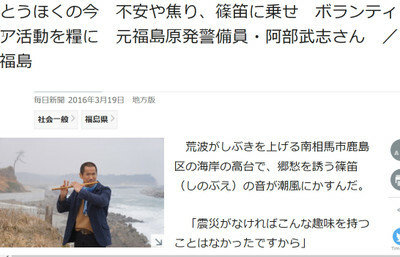 ・　Mr. Koizumi, whose signature leonine hairstyle has gone white since his retirement, said that after meeting the sailors in San Diego, he had become convinced of a connection between their health problems and the radiation exposure. 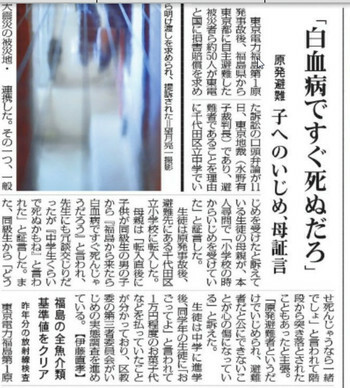 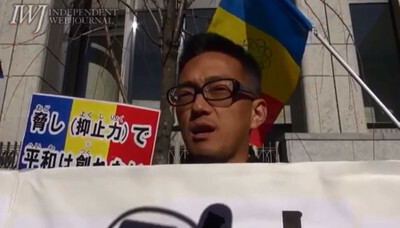 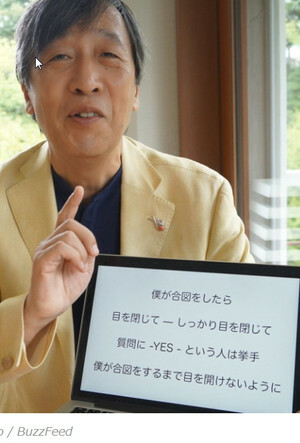 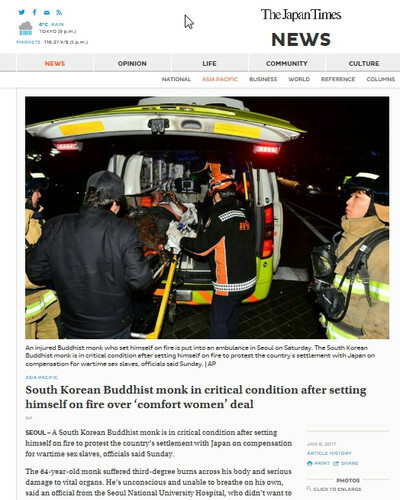 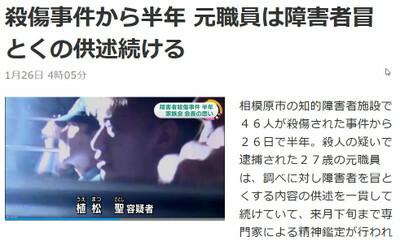 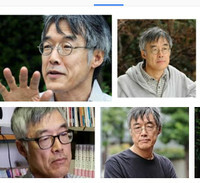 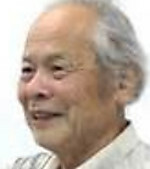 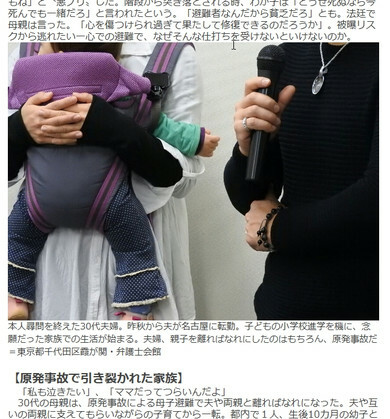 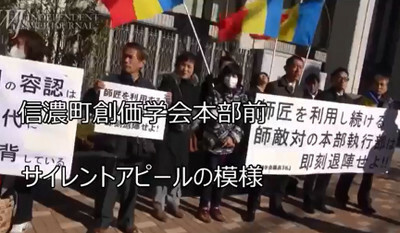 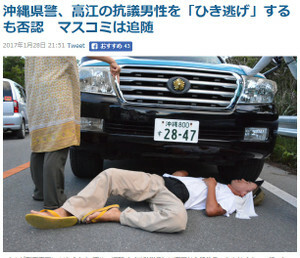 ・　Aimee L. Tsujimoto, a Japanese-American freelance journalist, and her husband, Brian Victoria, an American Buddhist priest now living in Kyoto, introduced Mr. Koizumi to the plaintiffs. 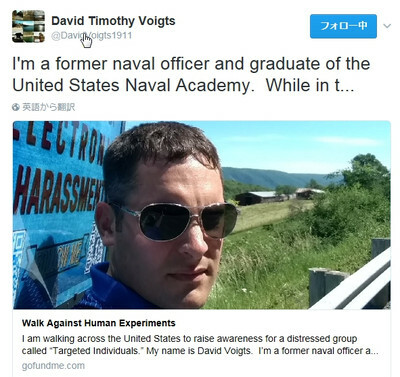 Petty Officer Zeller, who said he took painkillers and had tried acupuncture and lymph node massages to treat his conditions, said the meeting with Mr. Koizumi was the first time that someone in power had listened to him. 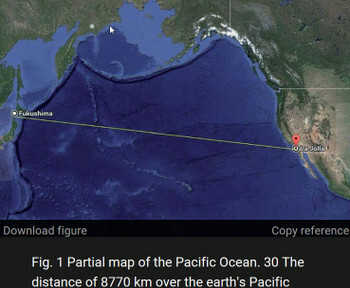 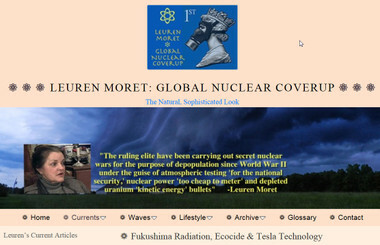 Ms. Moret reveals how the HAARP Tesla technology can be used to reverse the radiation now present in the Earth’s atmospheric column, its oceans and land masses, and terminate the intentional extermination program.